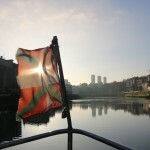 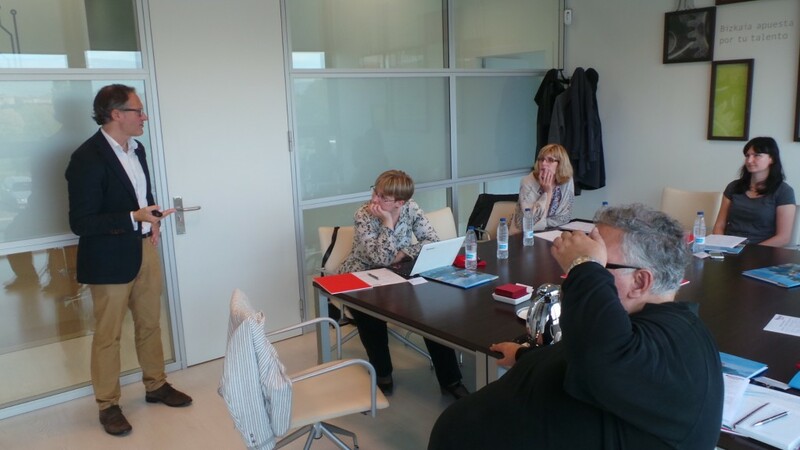 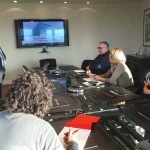 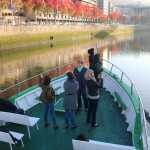 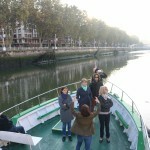 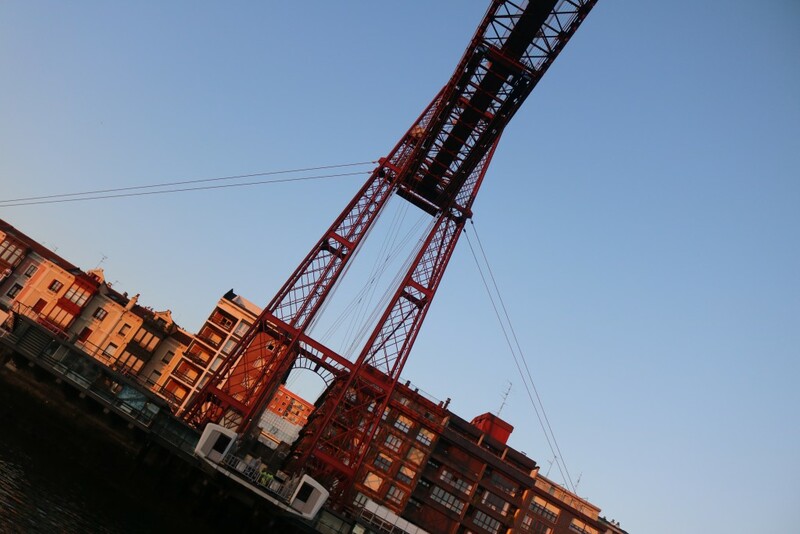 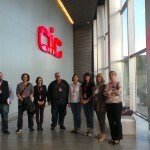 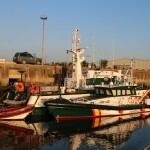 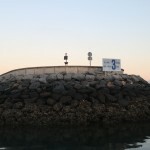 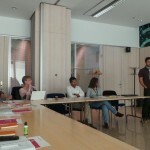 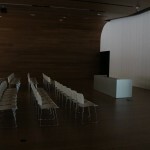 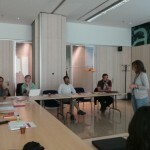 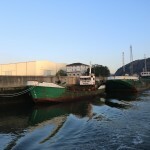 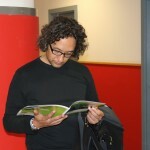 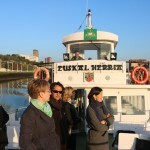 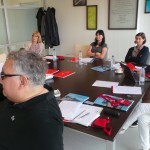 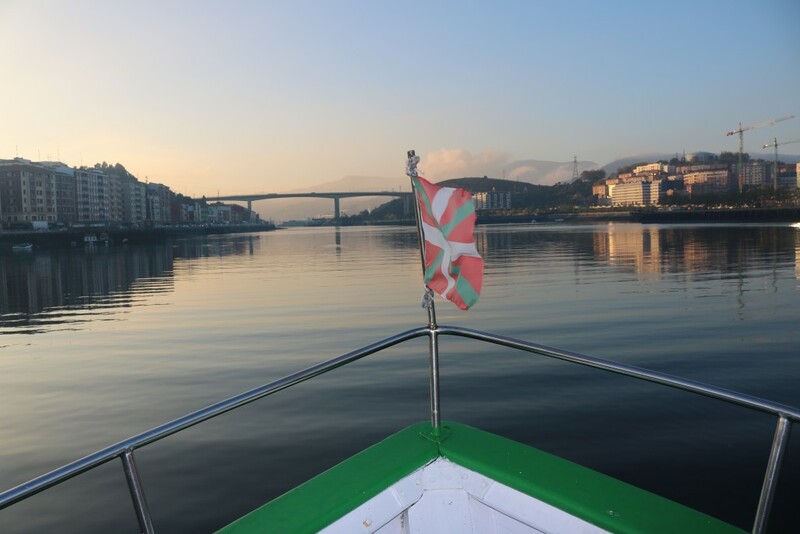 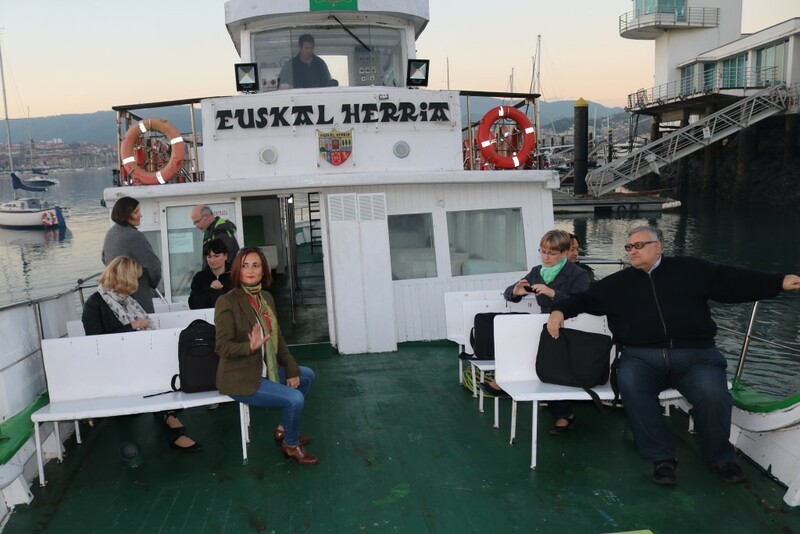 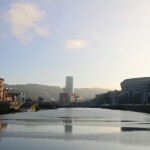 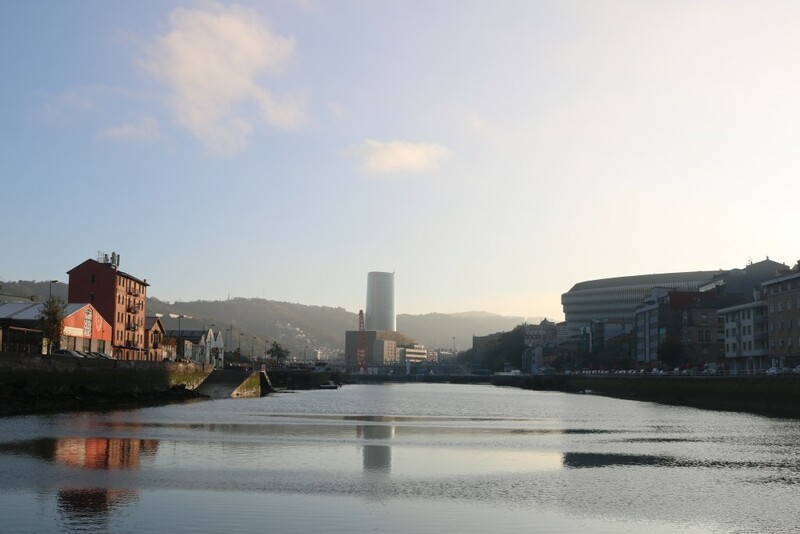 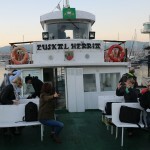 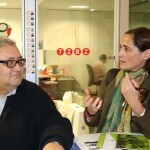 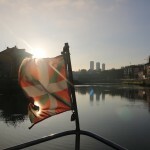 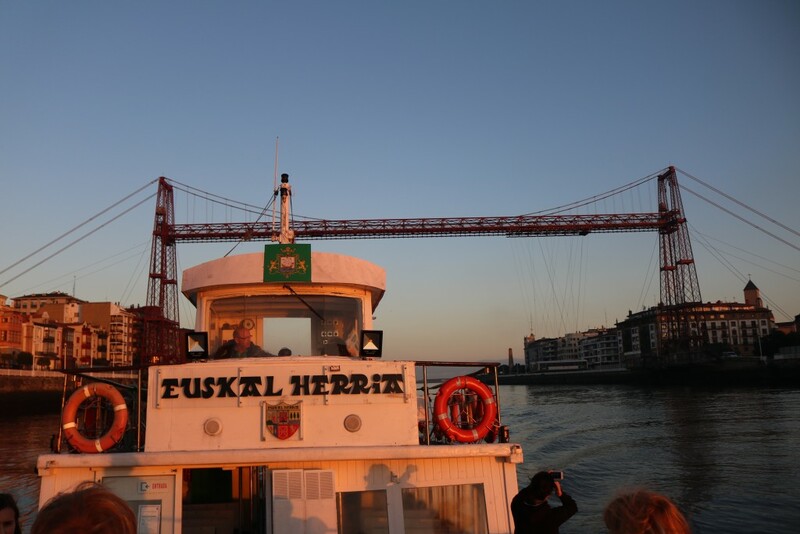 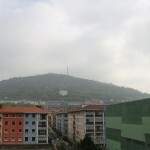 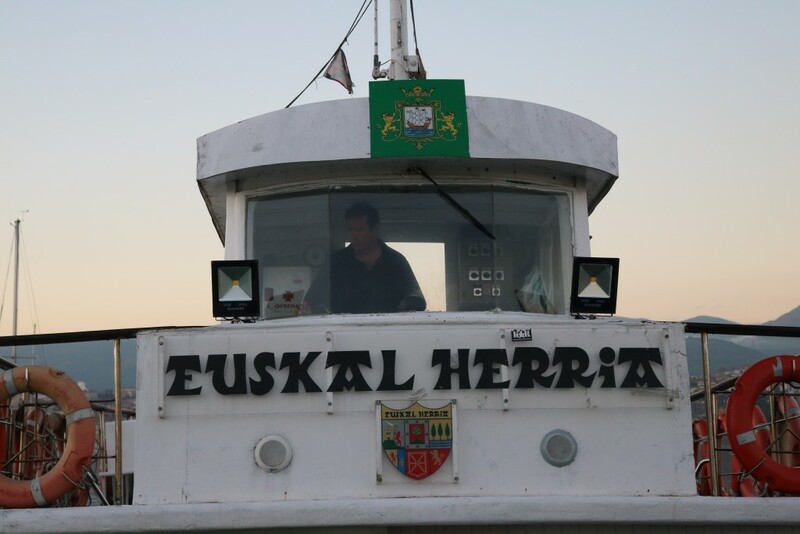 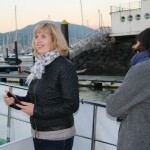 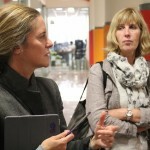 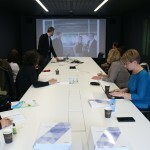 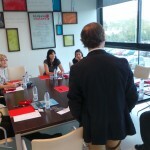 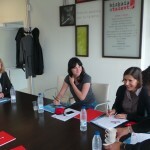 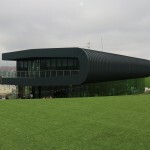 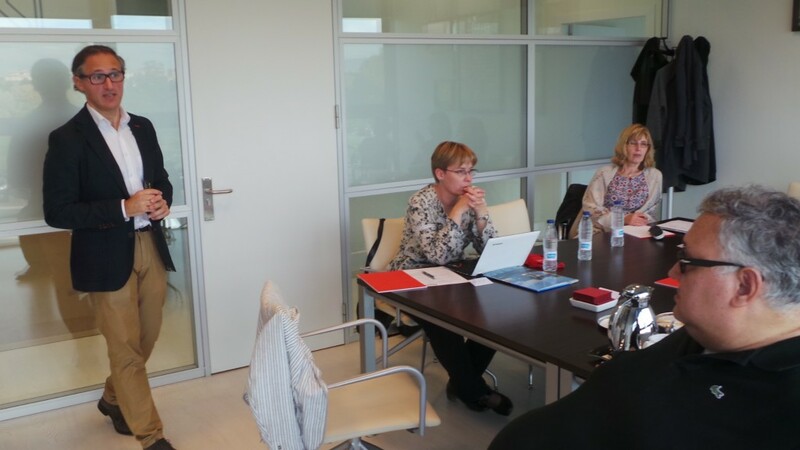 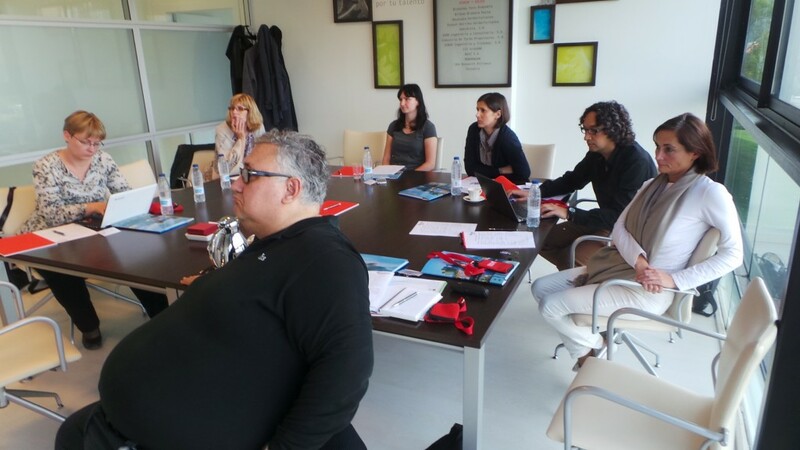 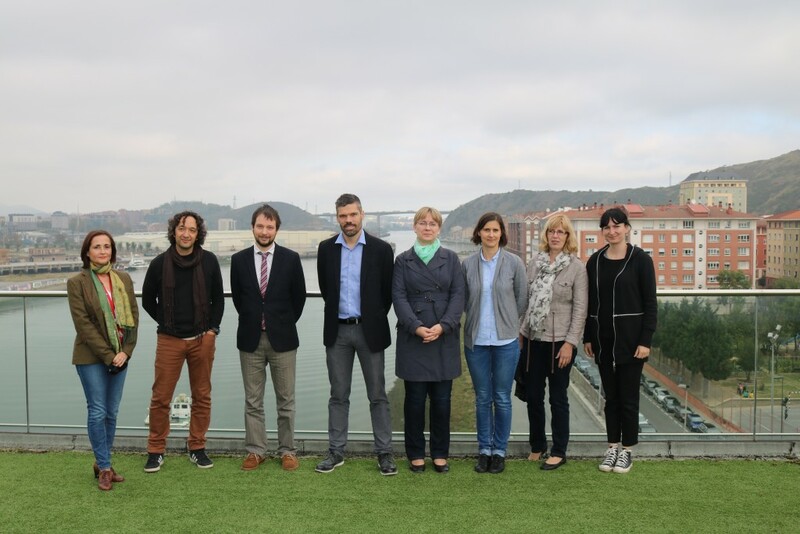 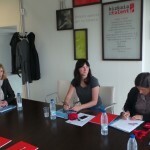 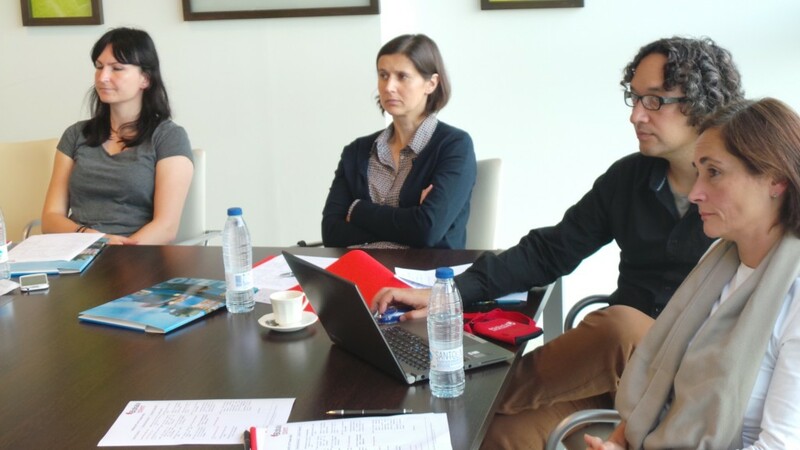 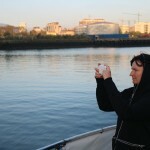 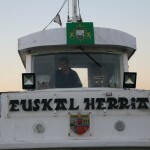 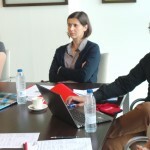 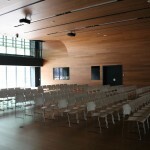 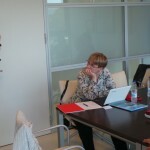 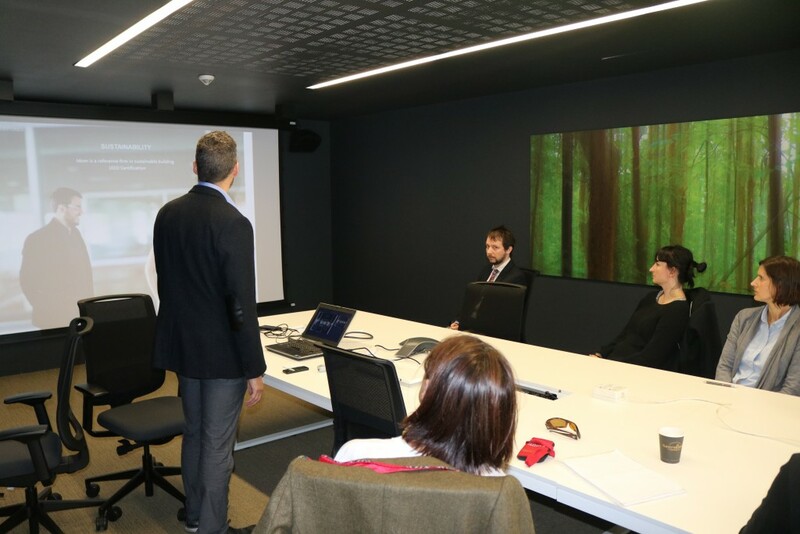 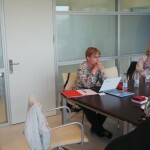 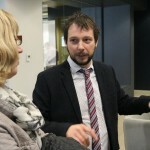 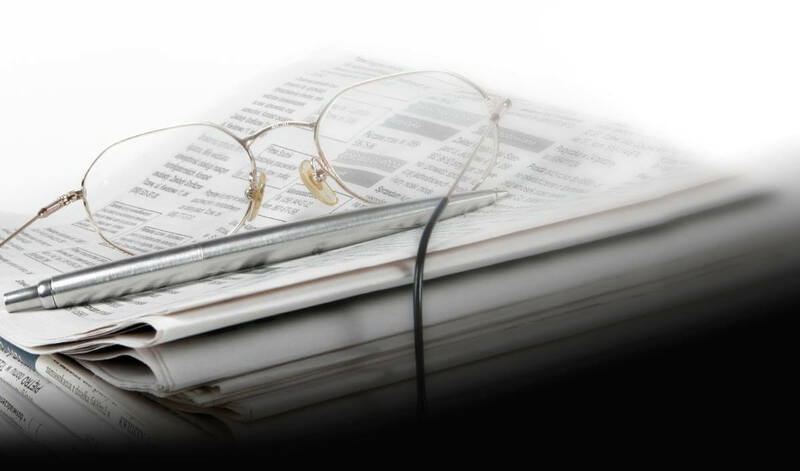 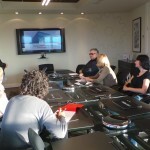 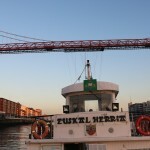 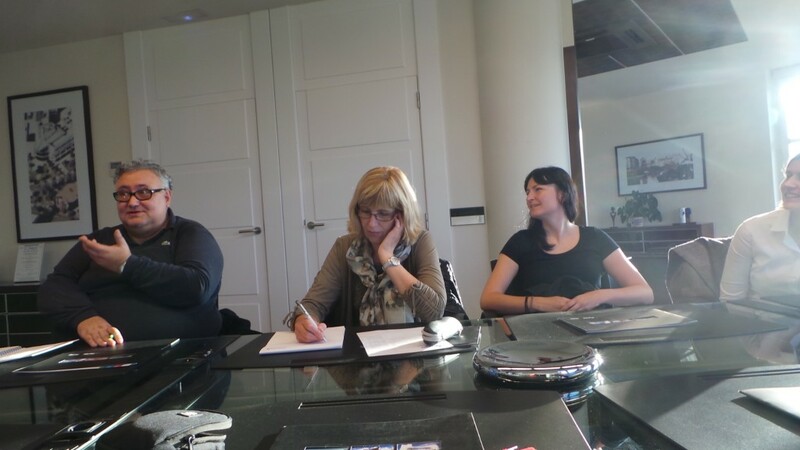 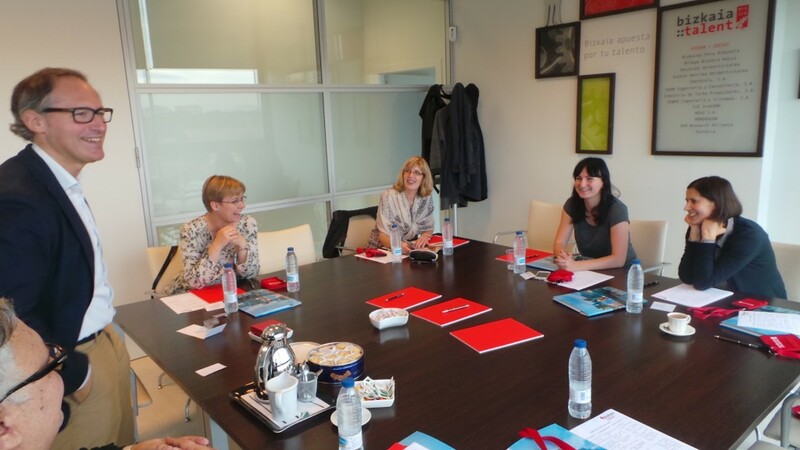 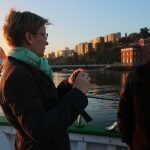 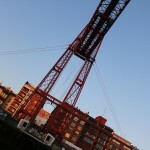 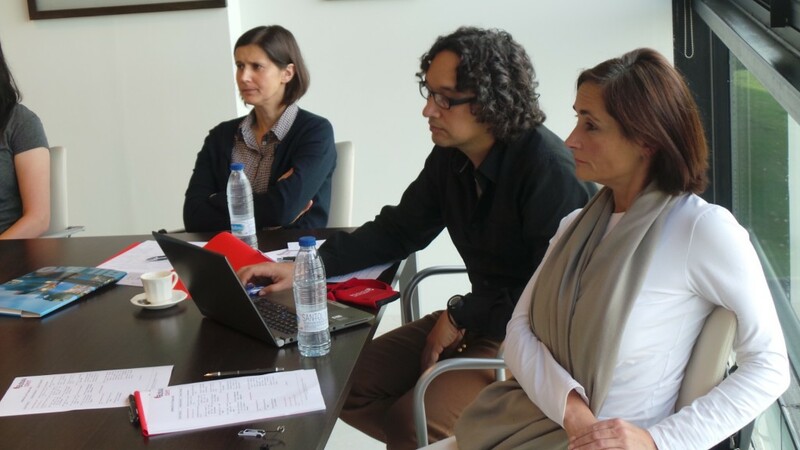 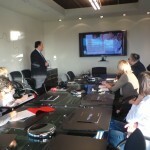 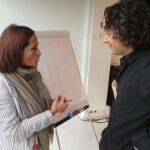 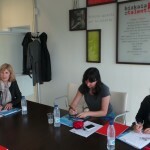 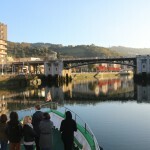 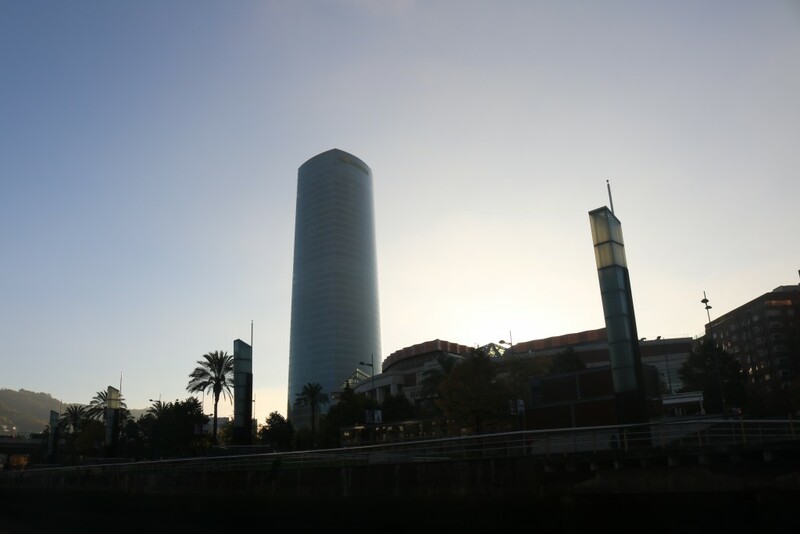 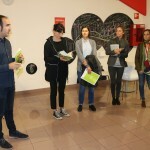 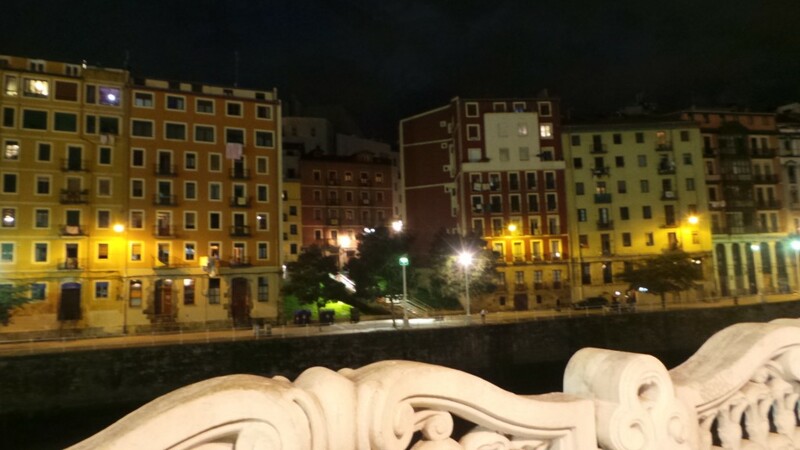 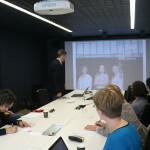 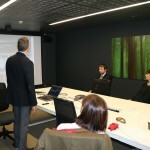 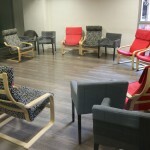 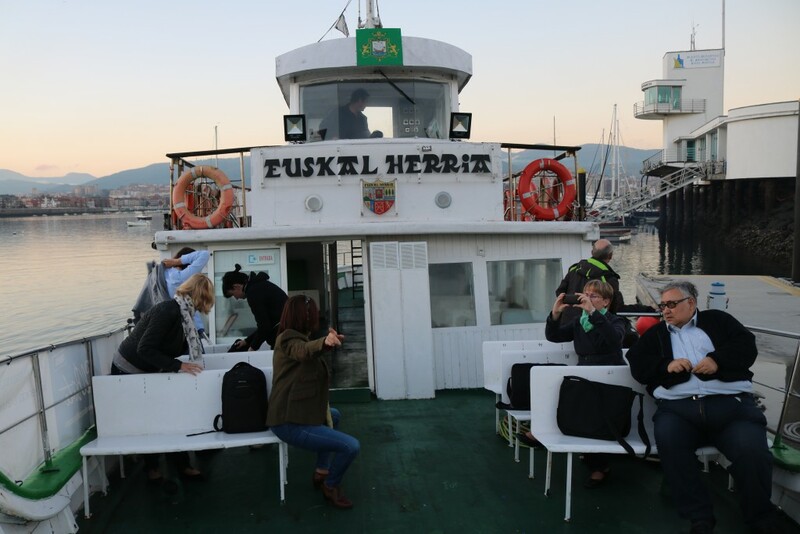 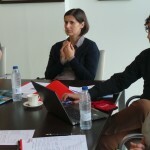 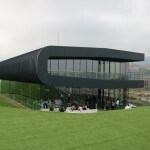 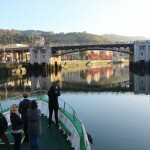 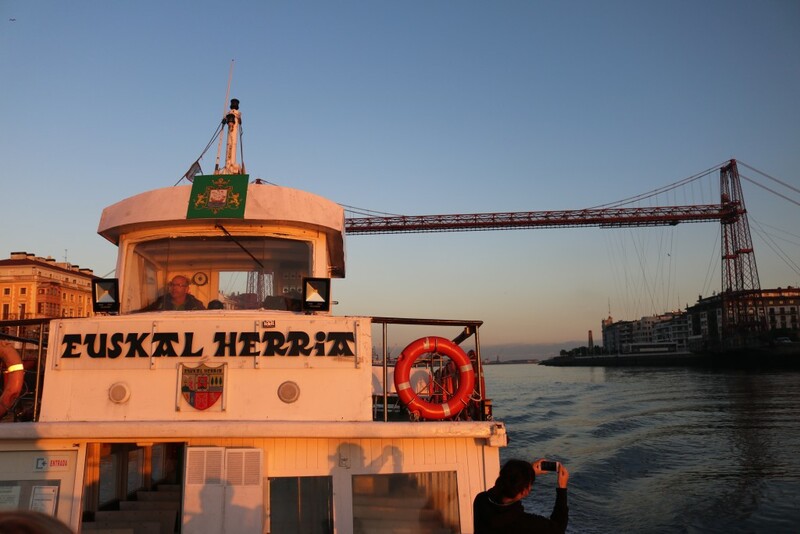 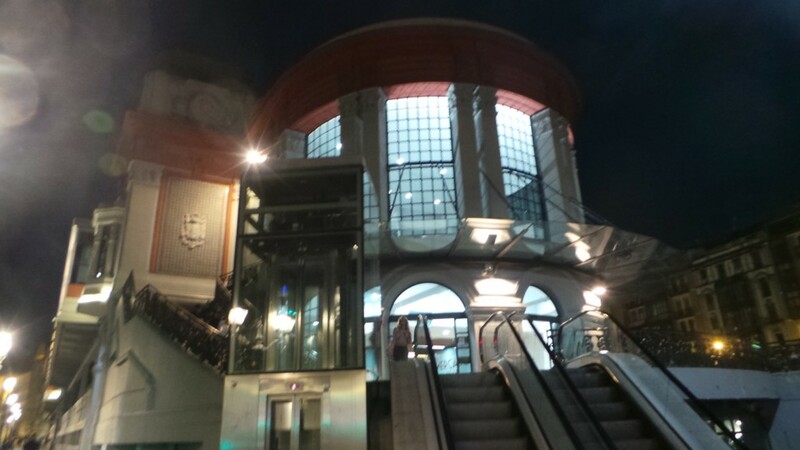 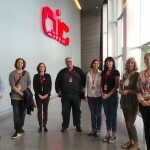 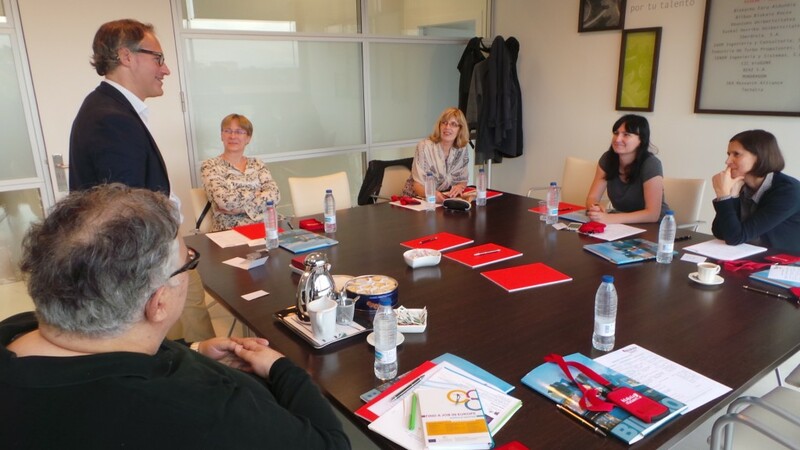 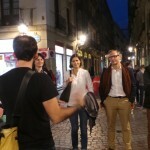 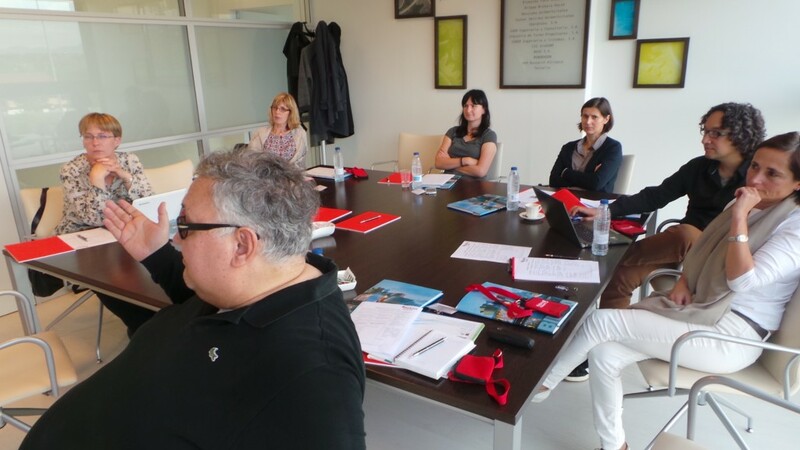 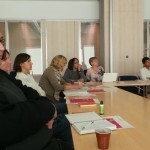 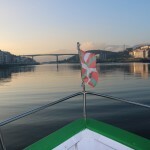 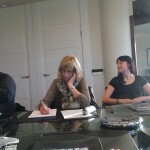 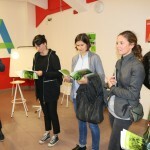 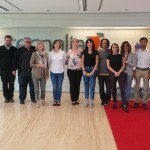 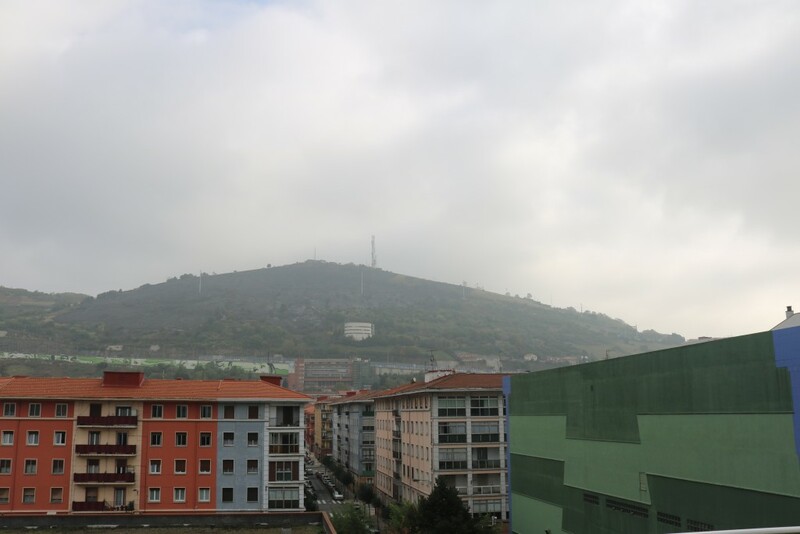 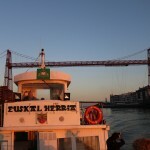 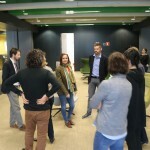 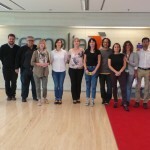 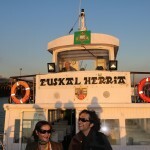 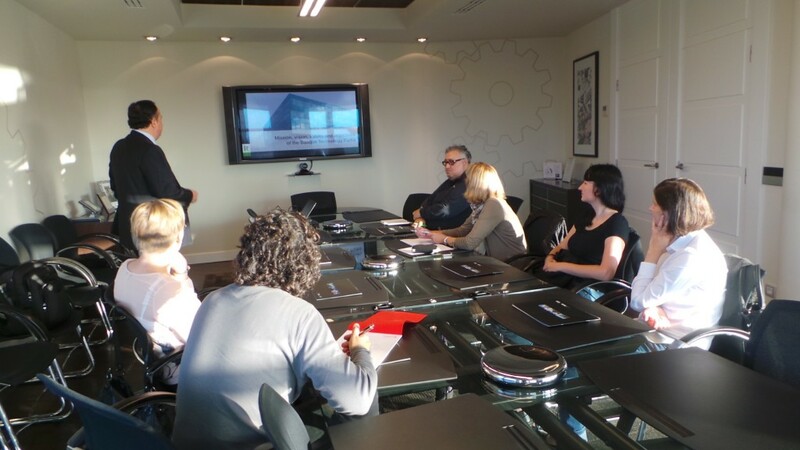 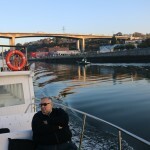 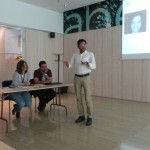 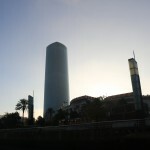 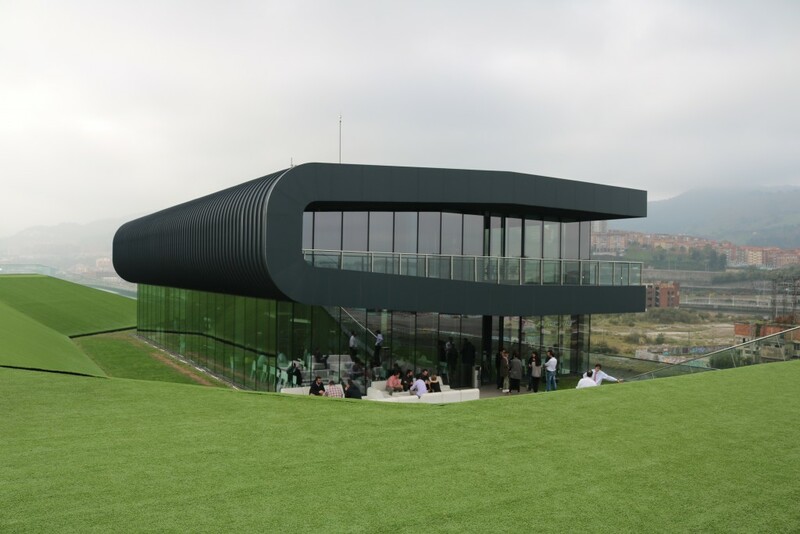 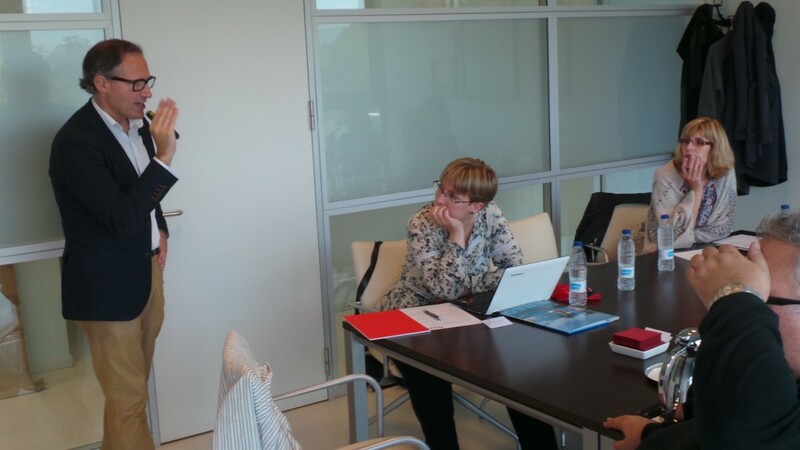 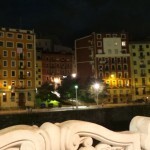 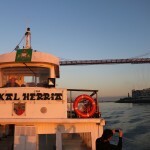 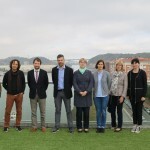 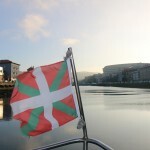 The Association to attract, retain and link talent to the area of Bizkaia-Basque Country will show its whole potential as well as the potential of its member associations and of the territory to a group of experts from the EURAXESS NETWORK within the so-called STUDY VISITS due to its being an organization recognized for its good practices to foster talent mobility. 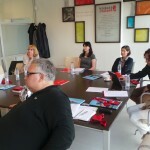 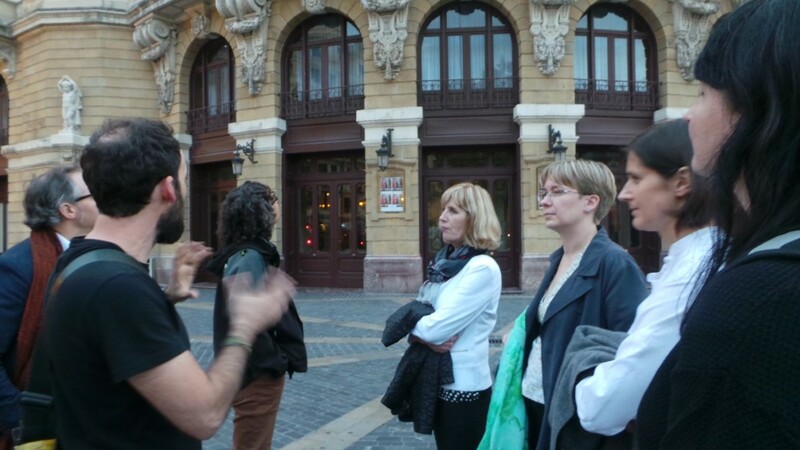 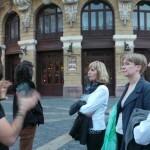 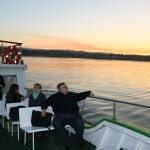 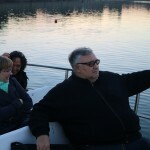 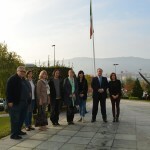 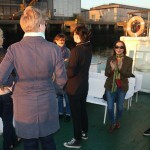 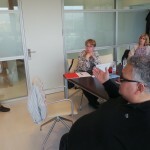 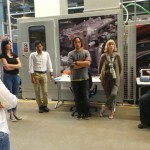 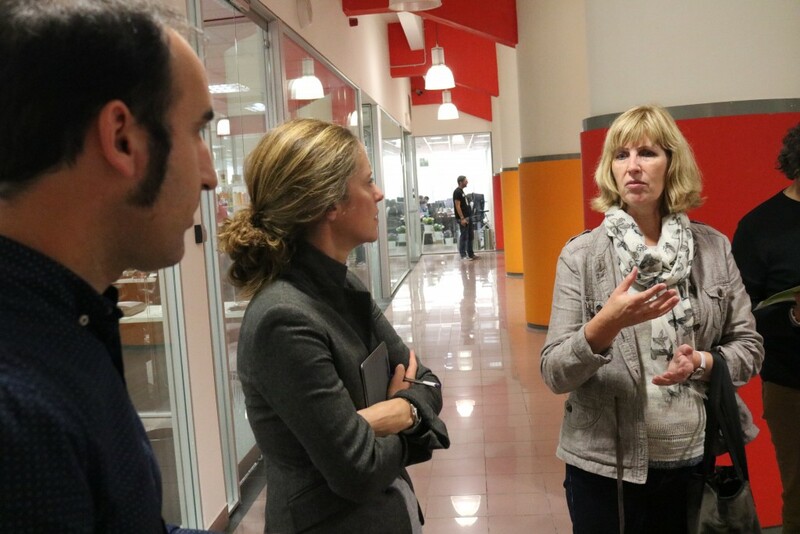 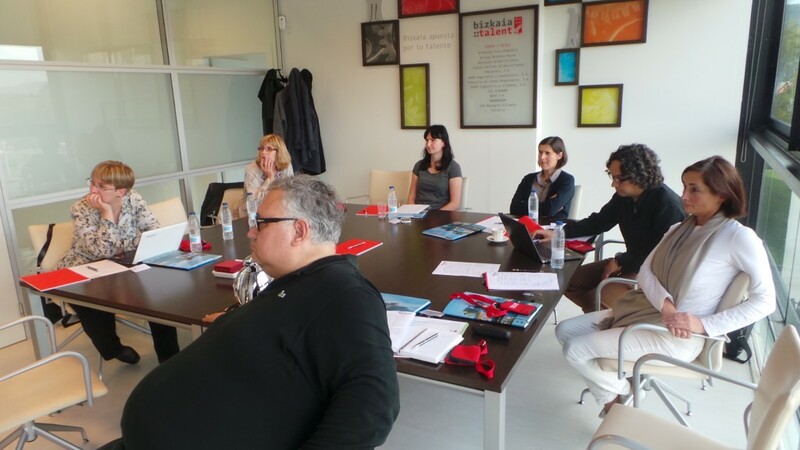 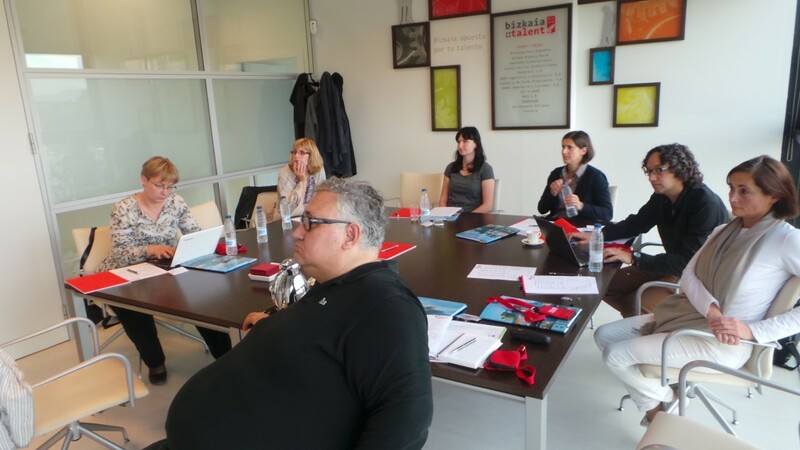 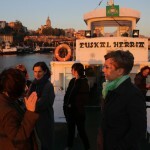 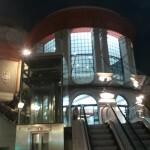 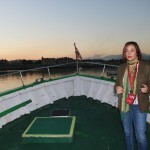 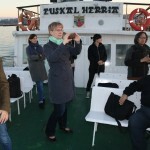 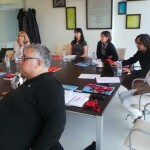 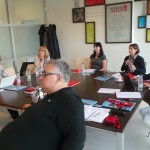 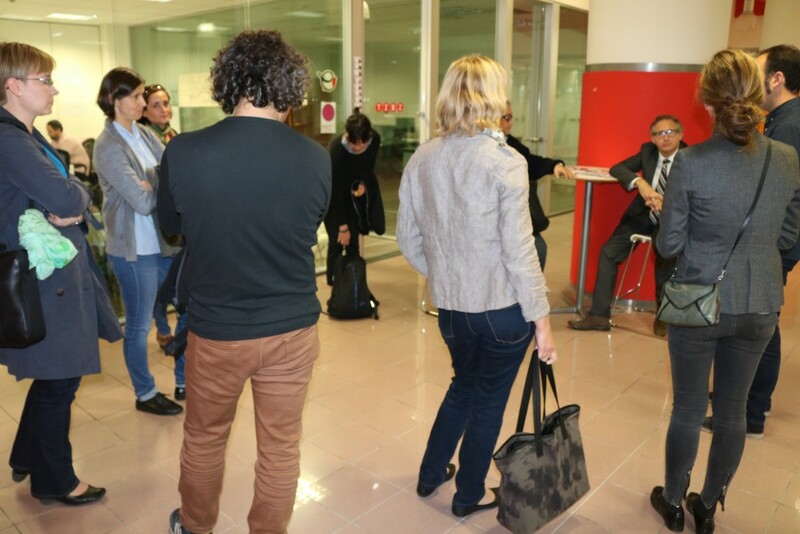 On 25, 26 and 27 October, bizkaiatalent will receive several members of this network from countries such as Greece, Hungary, Poland, Estonia and Spain for them to learn about the operation and methodology of the various programs which the organization is developing at present, such as Talentia, Relocation, Intermediation, Aid and International Networking, amongst others. 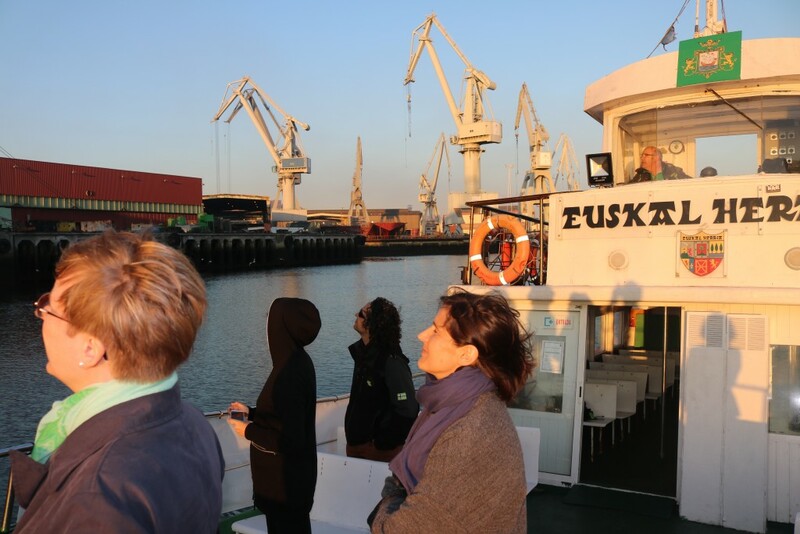 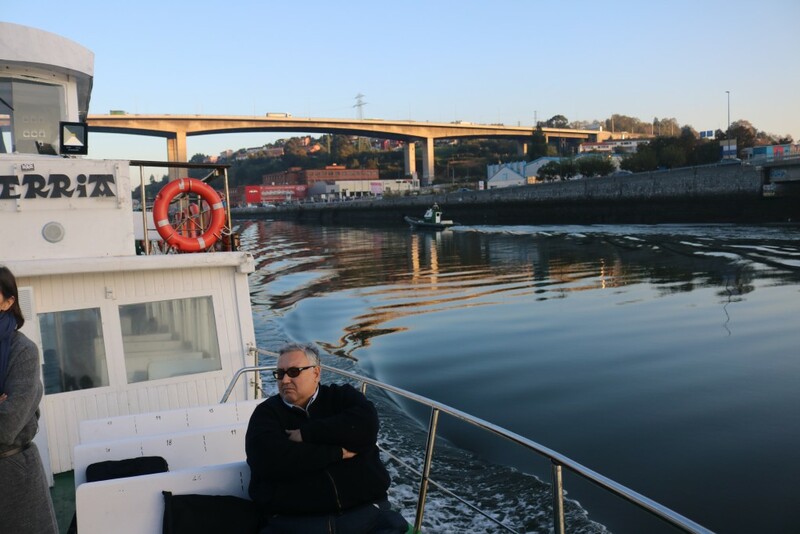 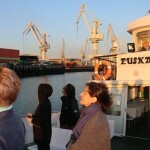 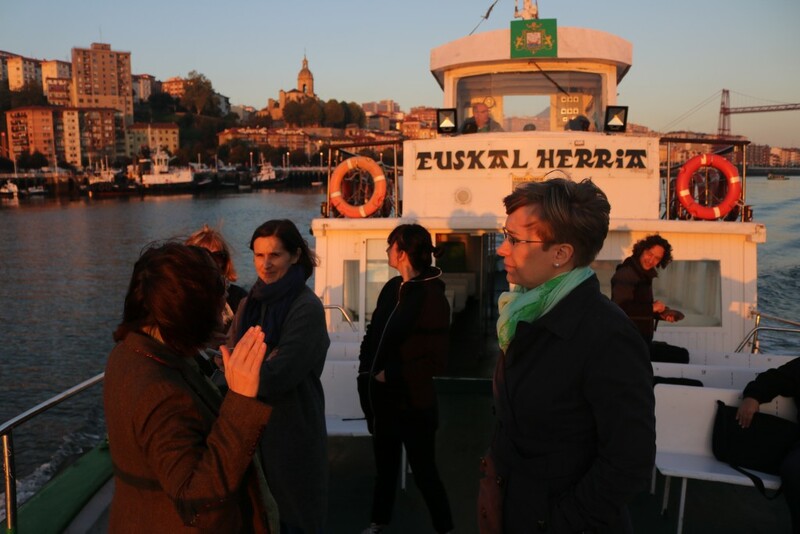 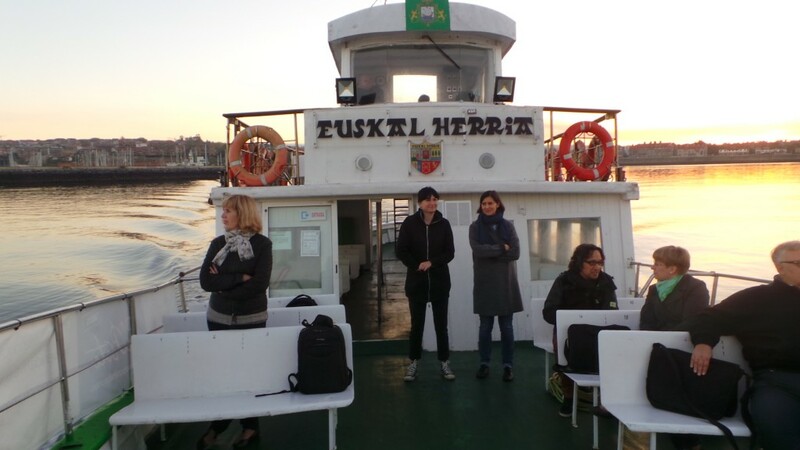 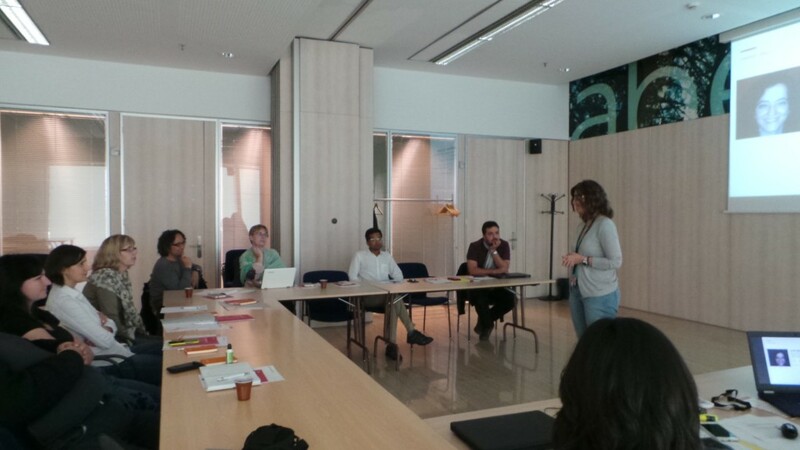 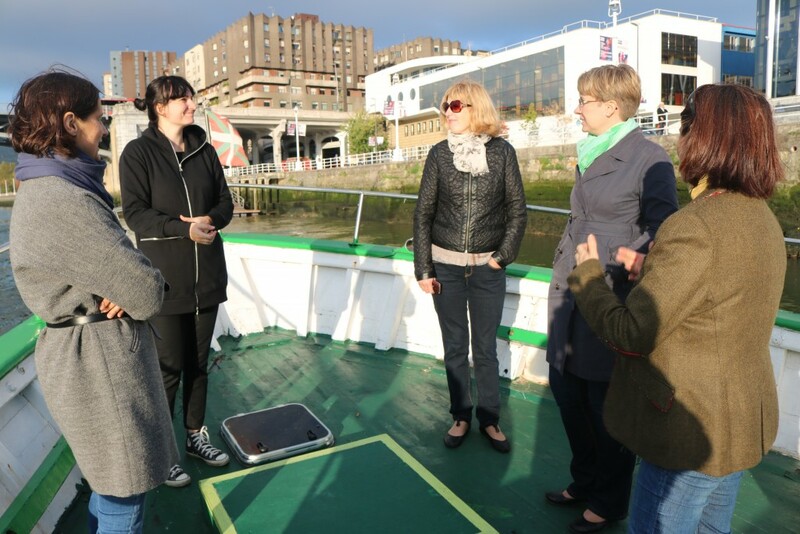 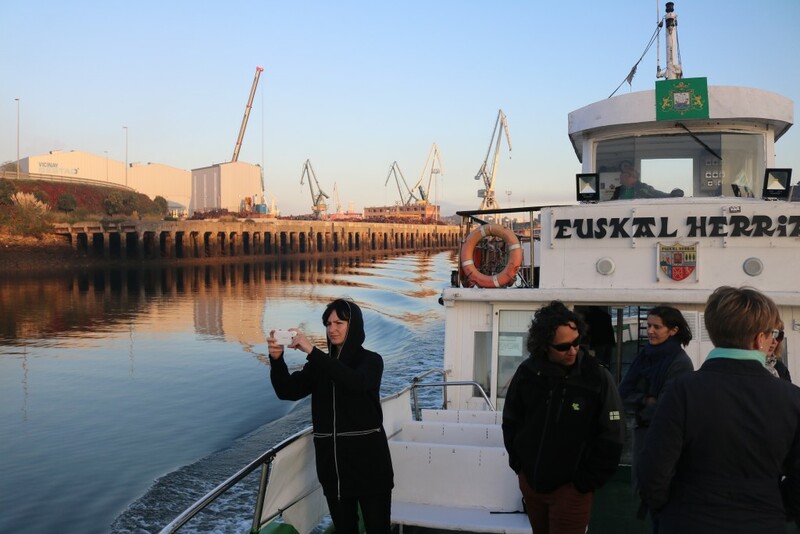 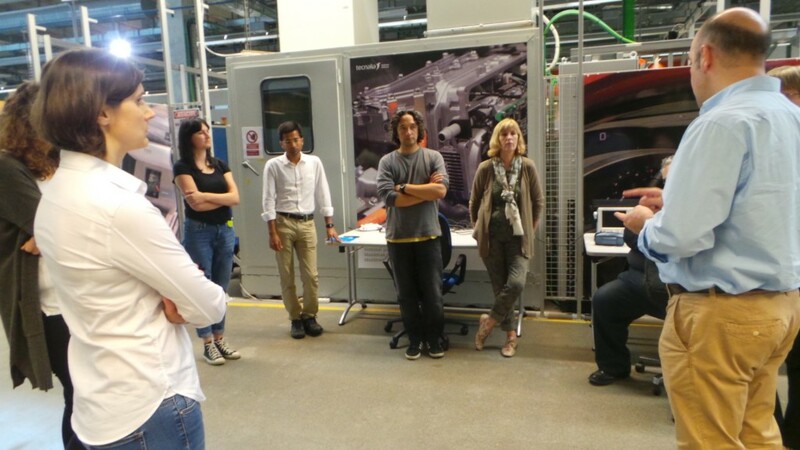 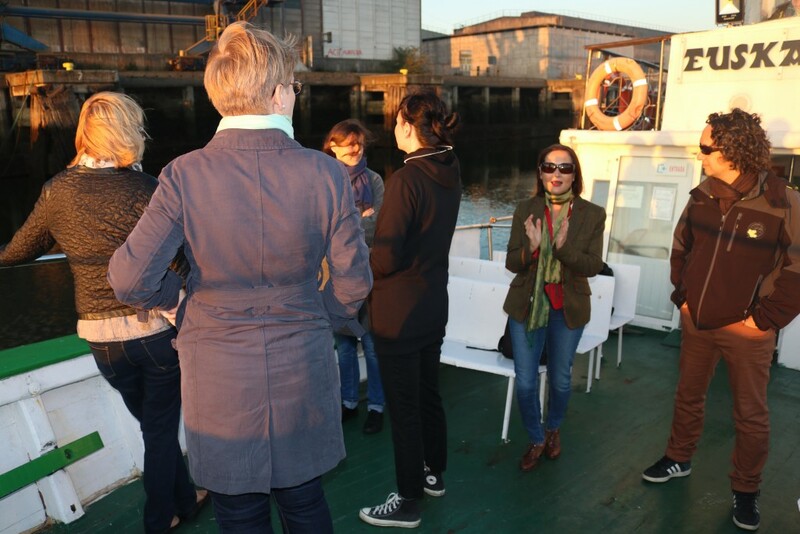 This STUDY VISIT will be possible thanks to the support of the Euraxess Network promoted by the European Commission to foster an attractive ecosystem and promote researchers’ mobility. 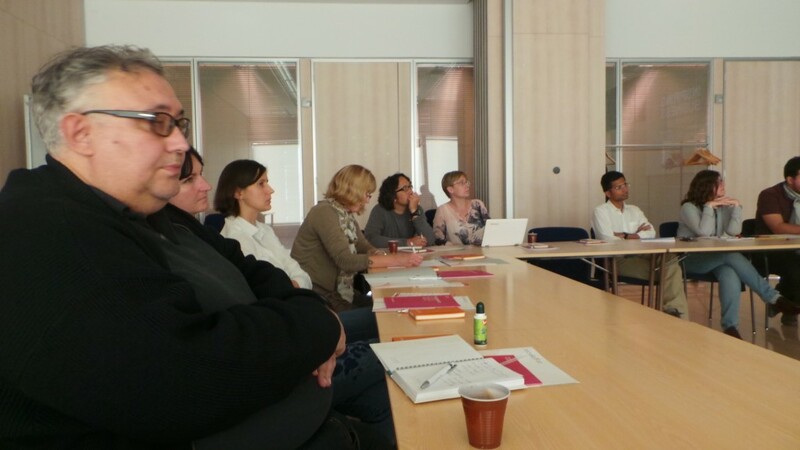 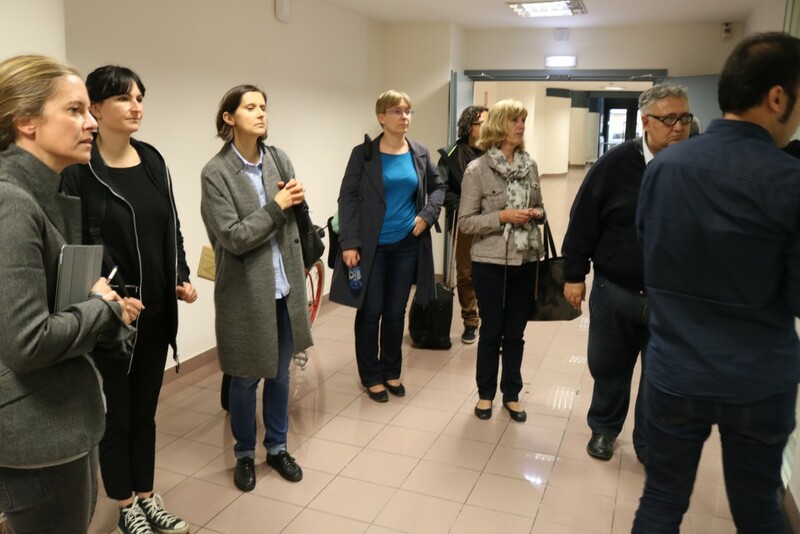 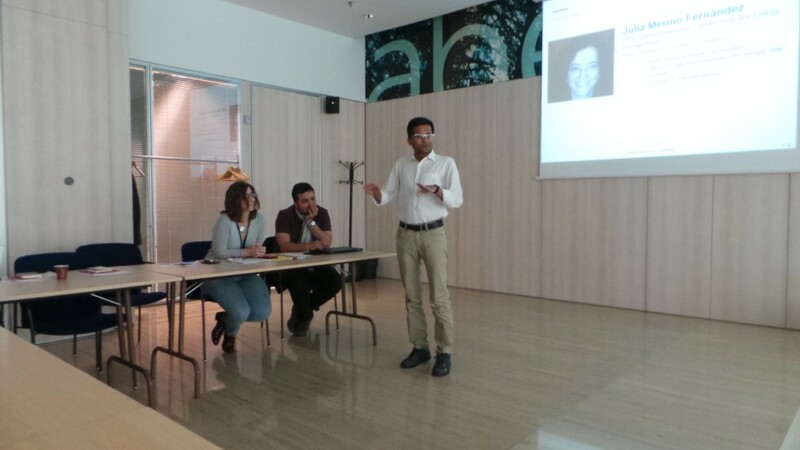 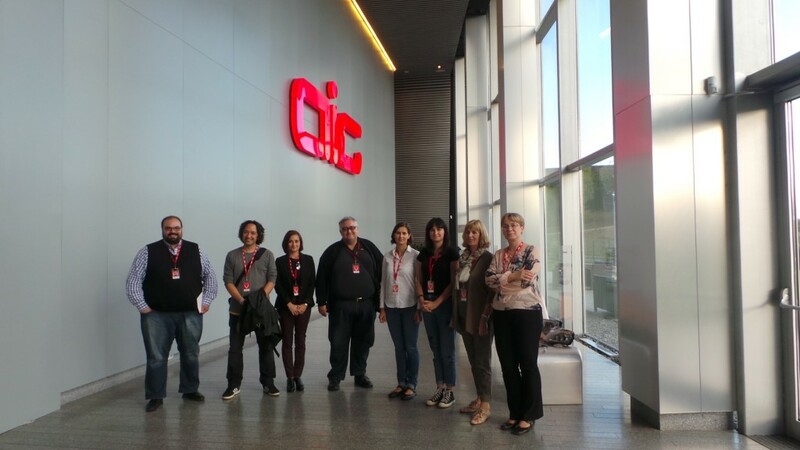 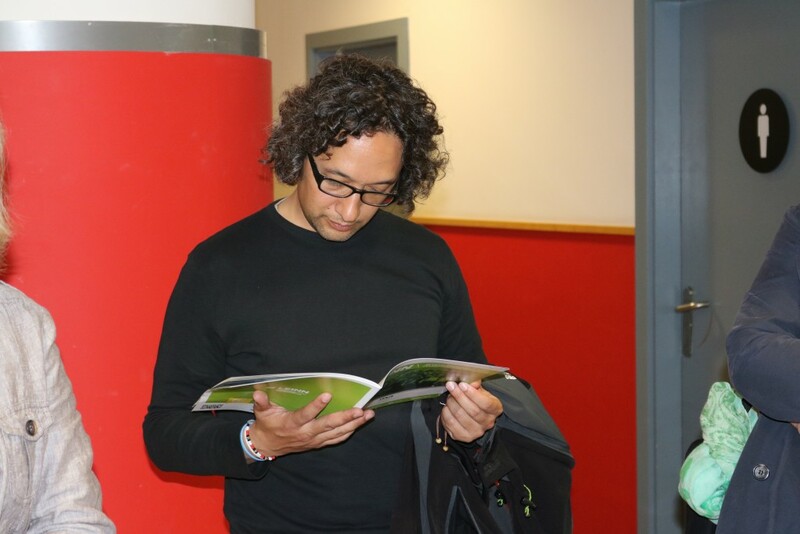 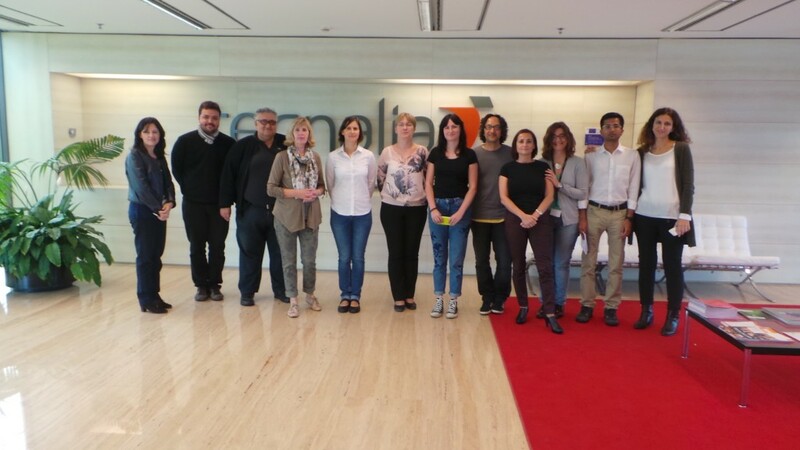 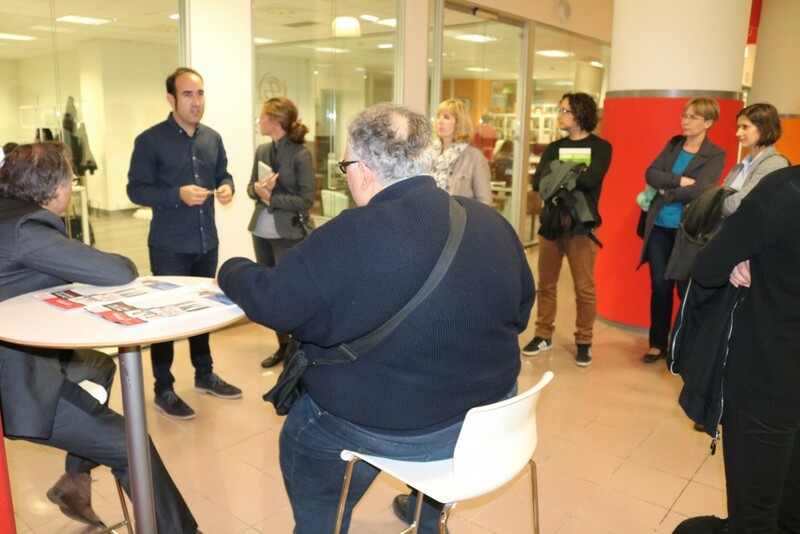 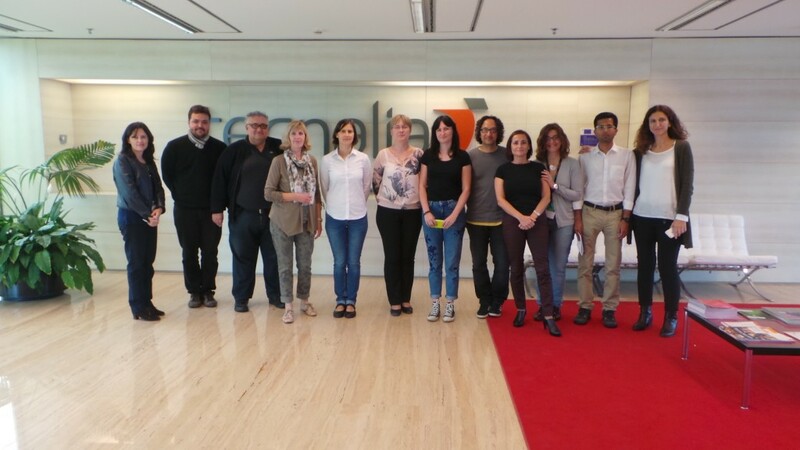 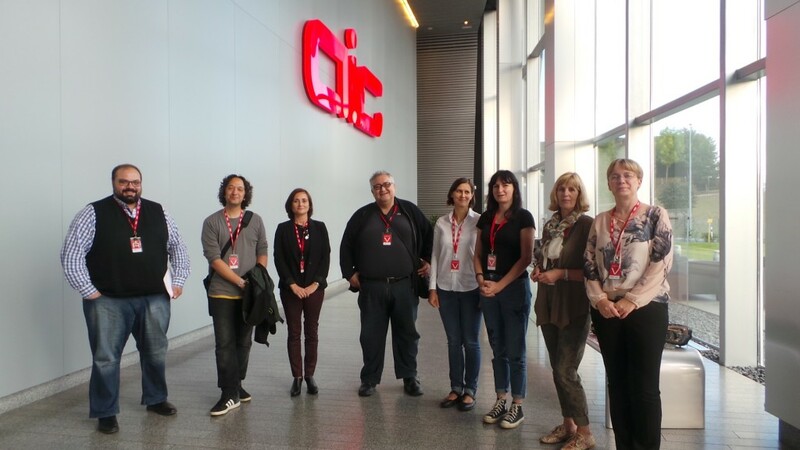 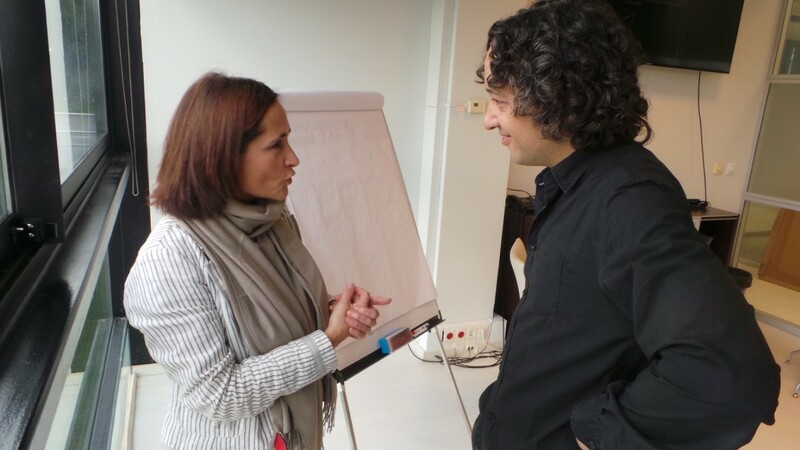 Thanks to these visits it is possible to know the good practices carried out in the various countries which are members of the NETWORK in Europe and thus foster their dissemination and implementation. 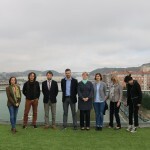 Thus, for three days and under the name “Drawing an Ecosystem for attracting, retaining and connecting Talent through multi-agent cooperation: bizkaia talent approach” they will find out about the association and its Be Basque Talent Network made up of more than 7,500 professionals from more than 80 countries who are or would like to be in contact with Bizkaia – Basque Country. 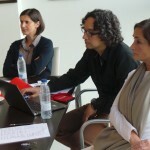 The network also comprises more than 200 organizations at present. 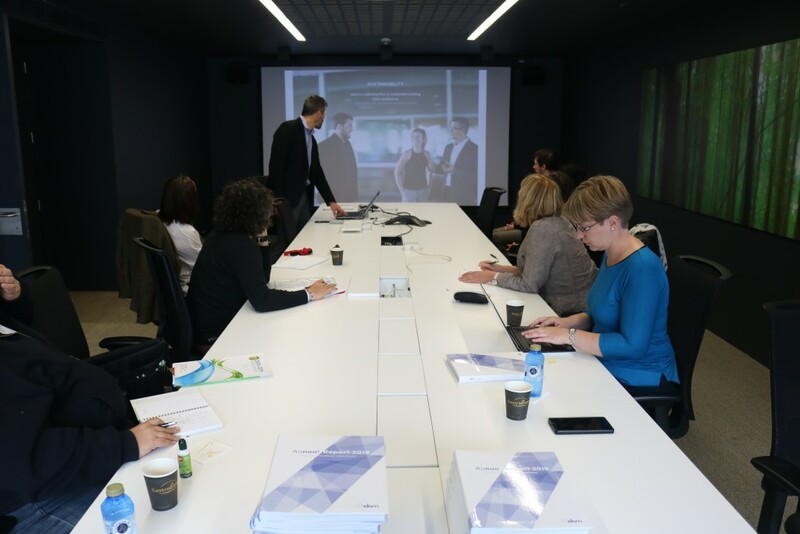 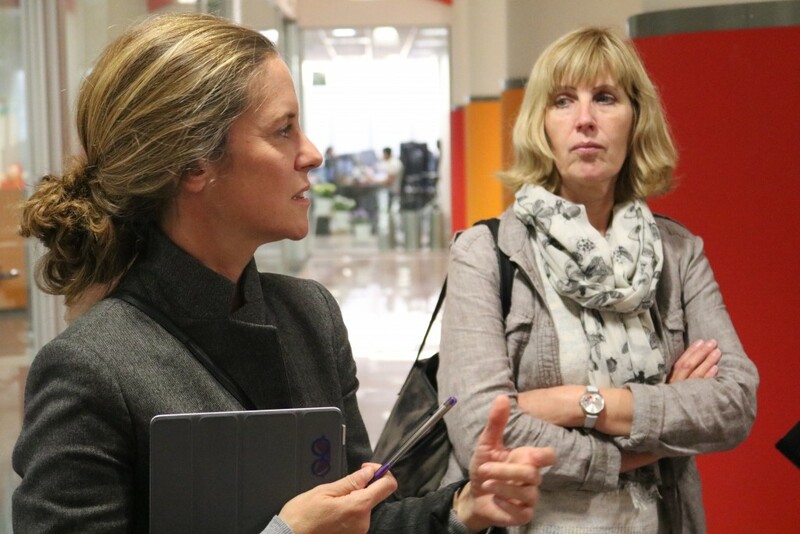 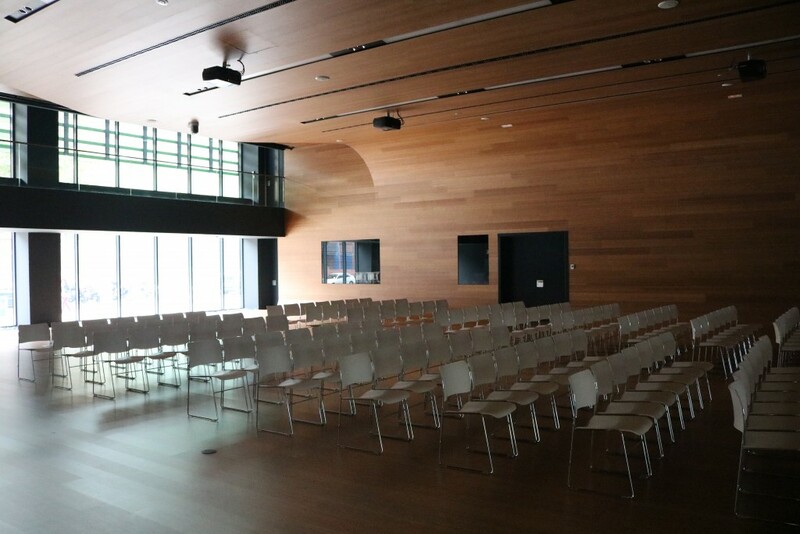 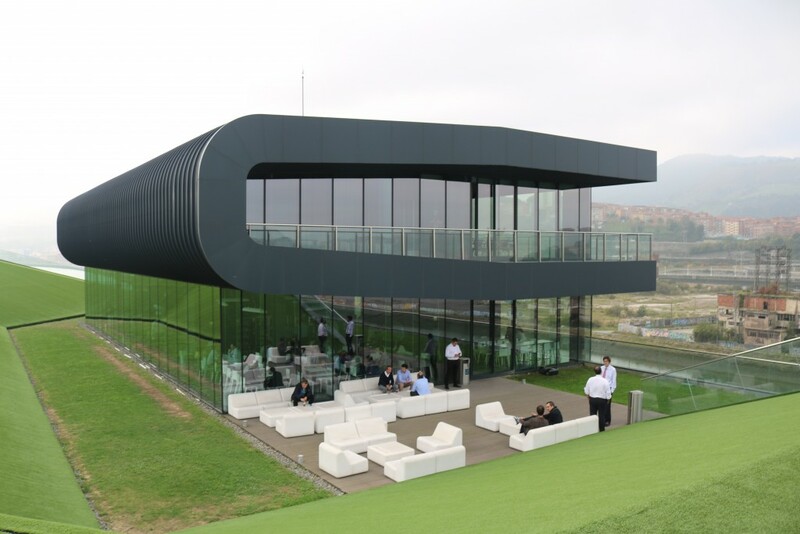 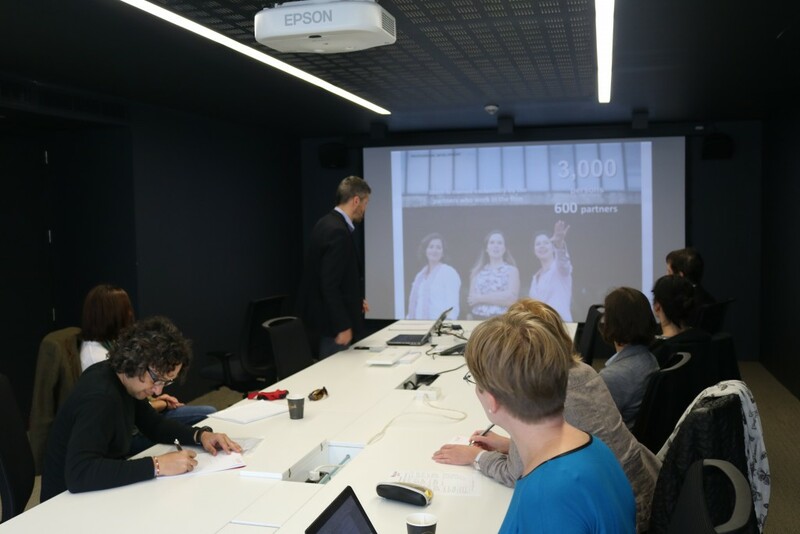 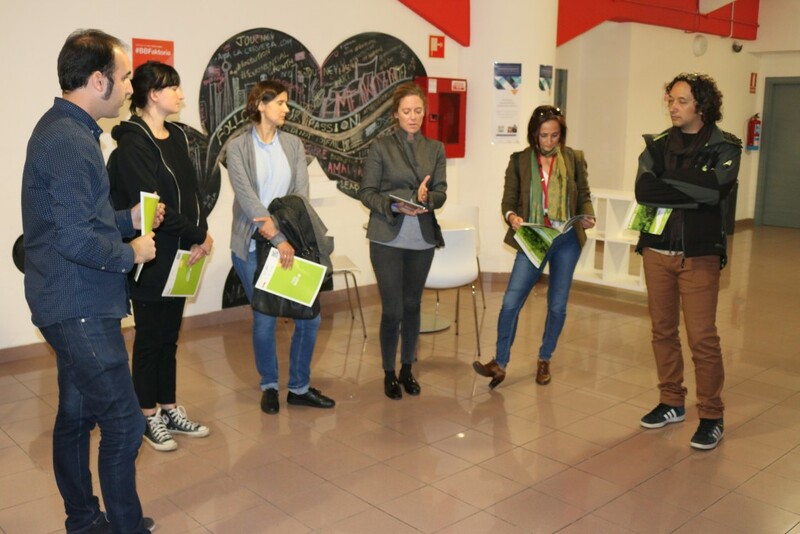 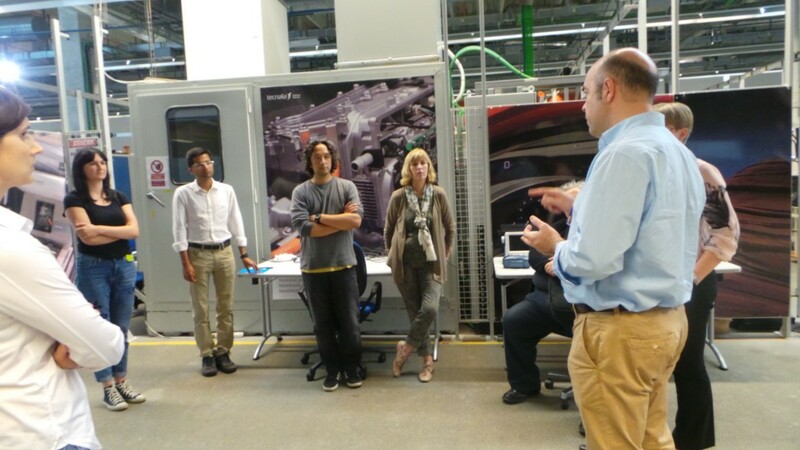 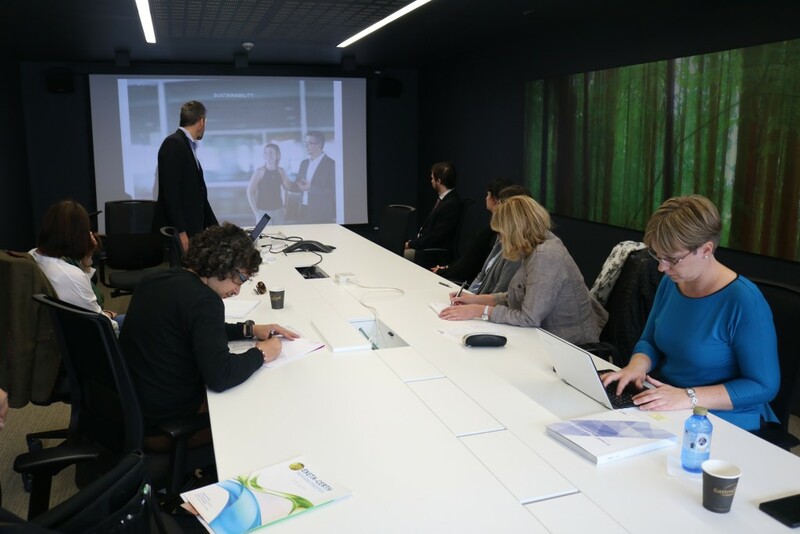 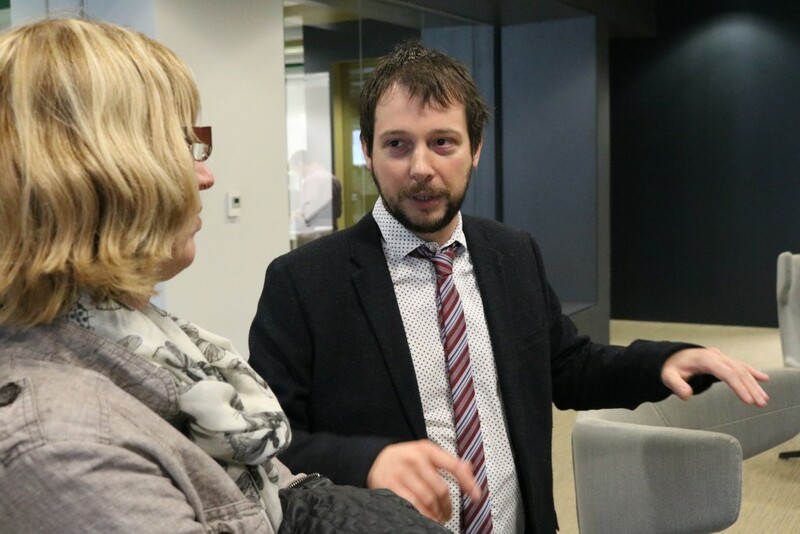 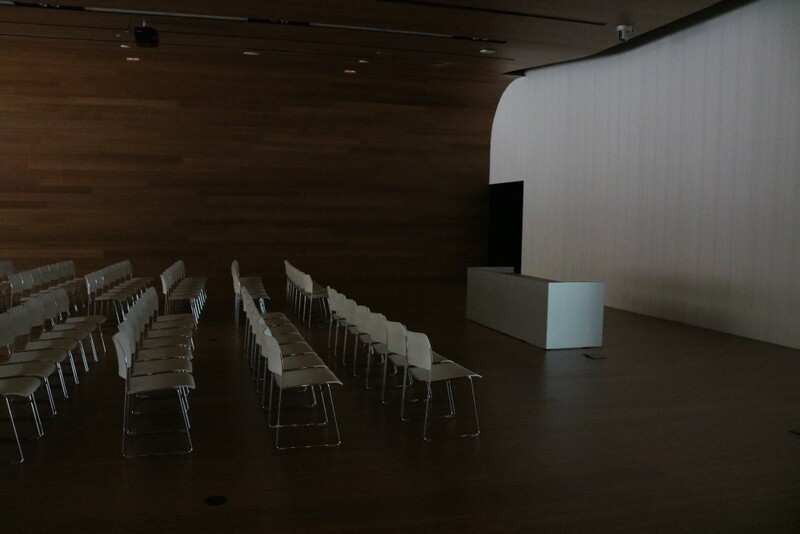 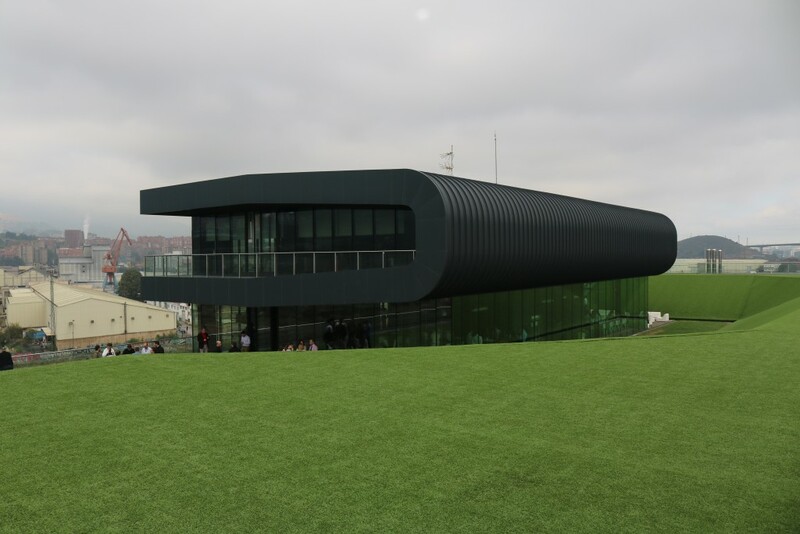 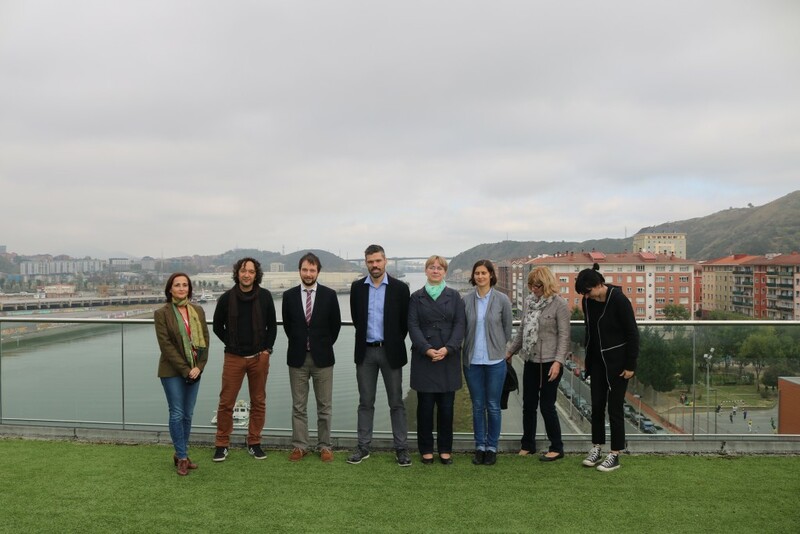 They will also learn about the Talentia and Skills program, as well as the professional Networking service, the Financial Aid Program for research, Relocation and the innovative and pioneering program at the European level Be Basque Dual Career Centre. 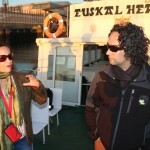 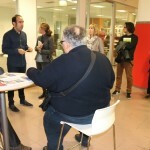 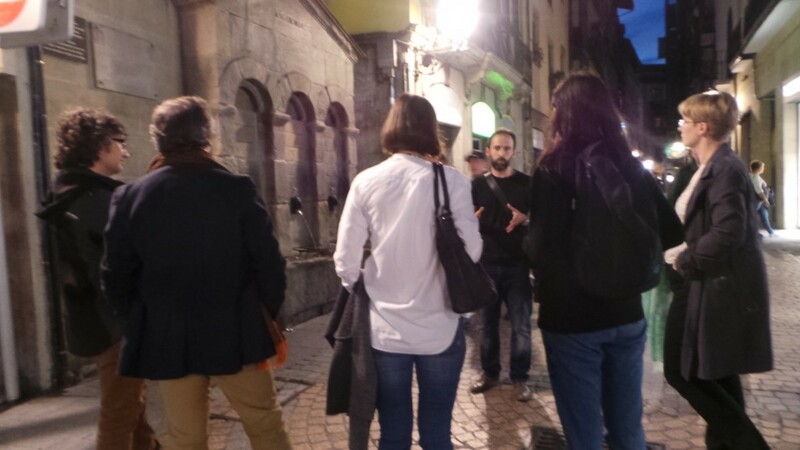 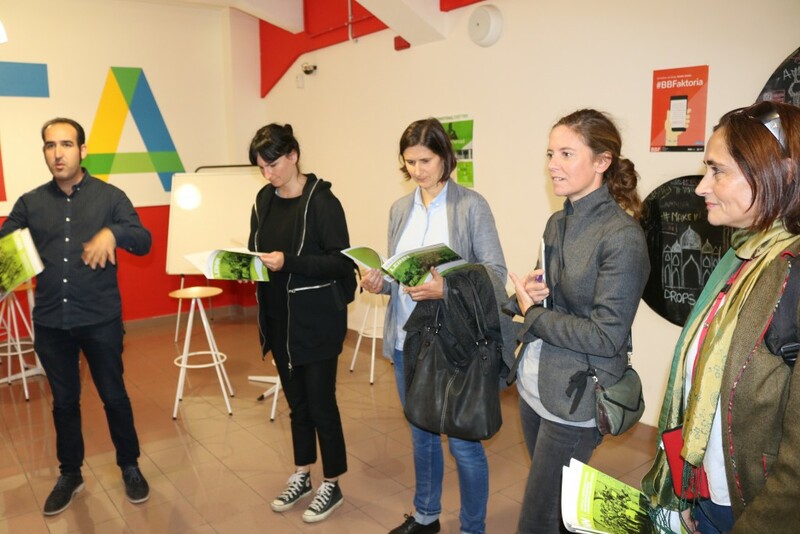 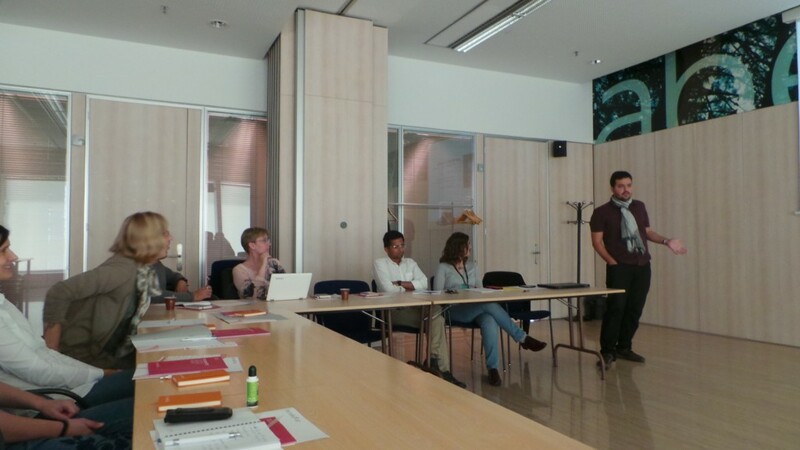 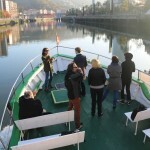 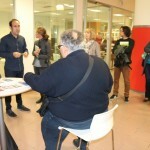 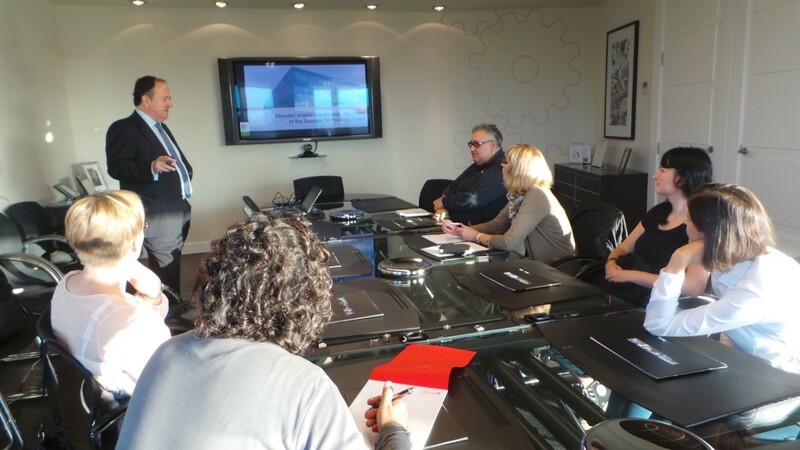 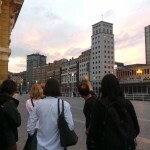 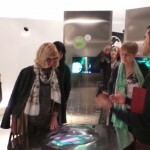 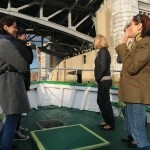 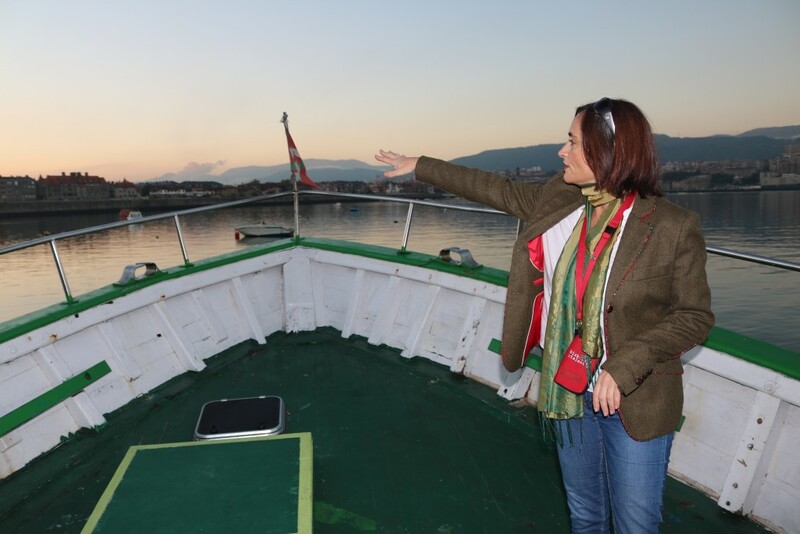 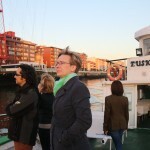 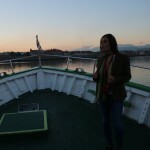 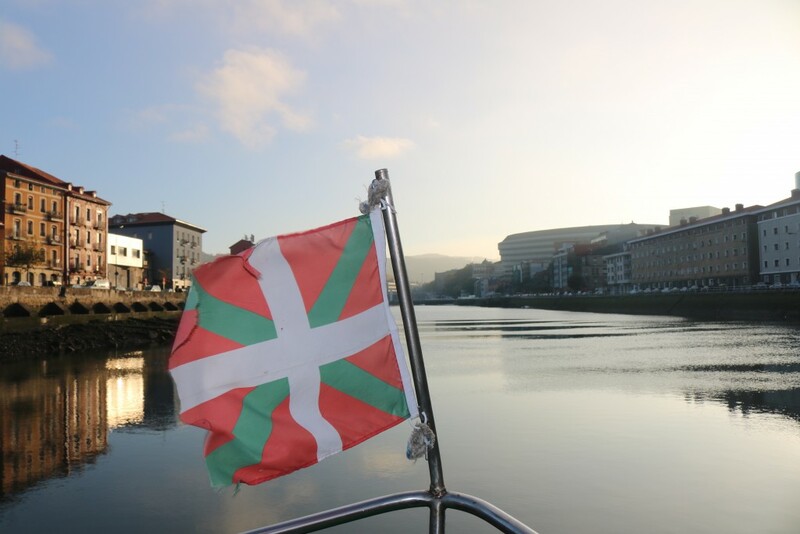 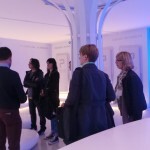 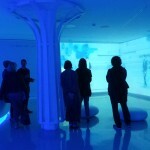 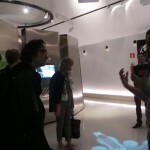 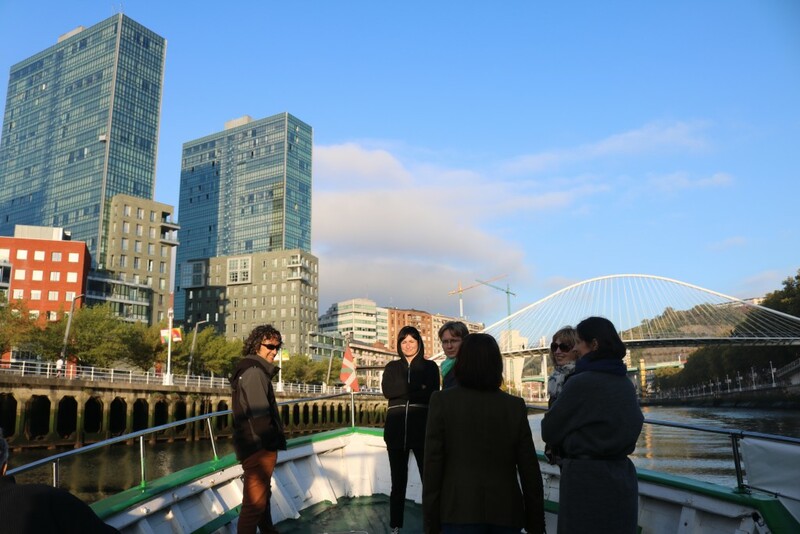 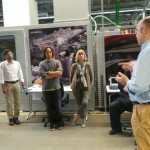 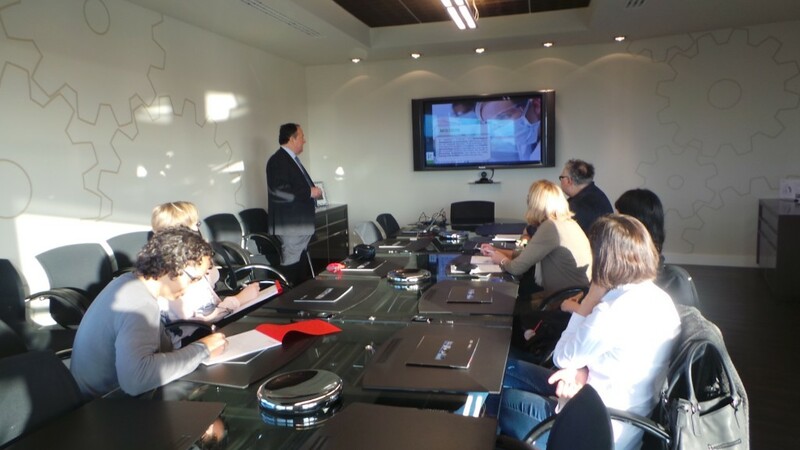 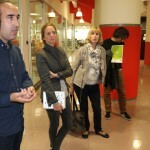 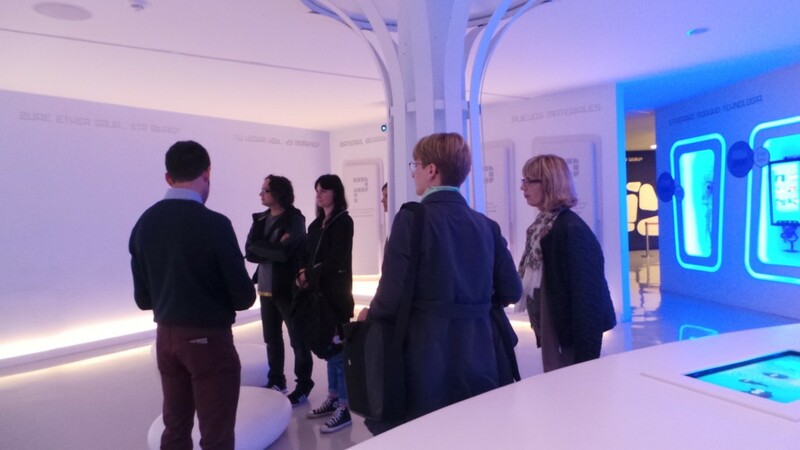 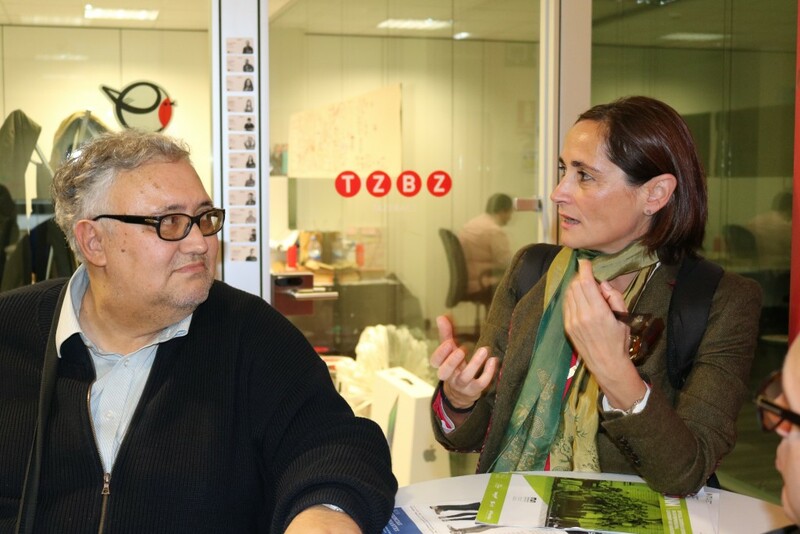 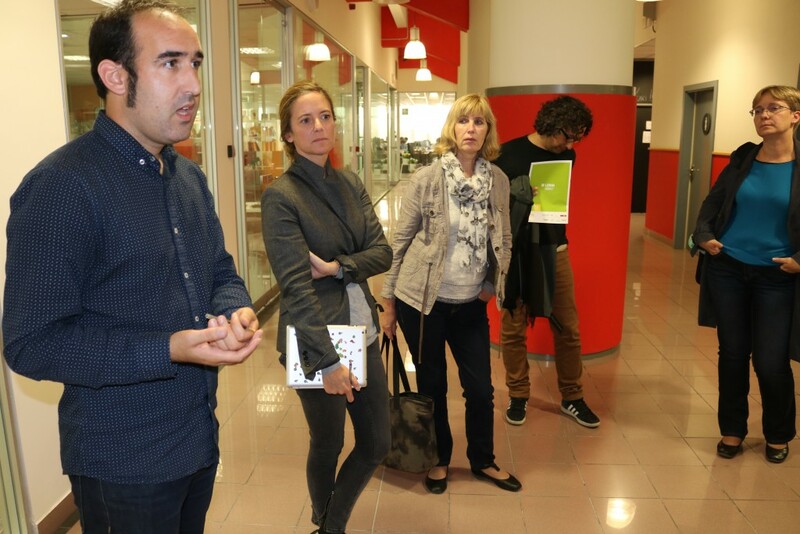 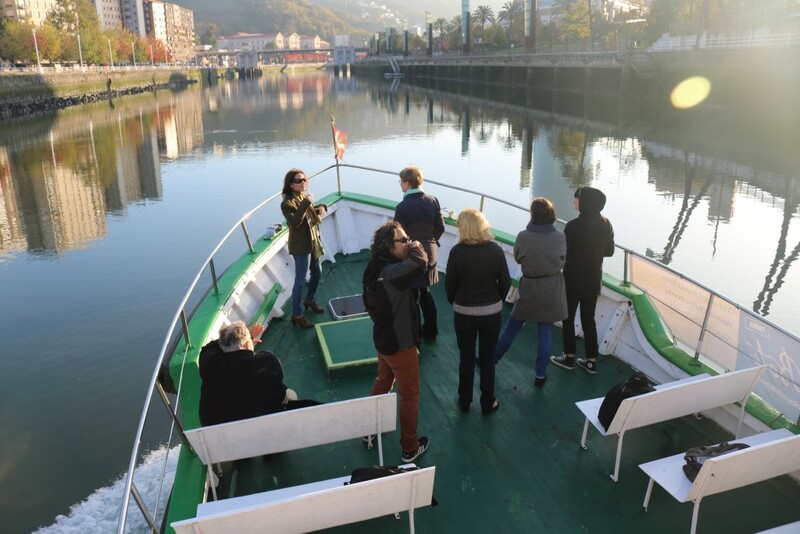 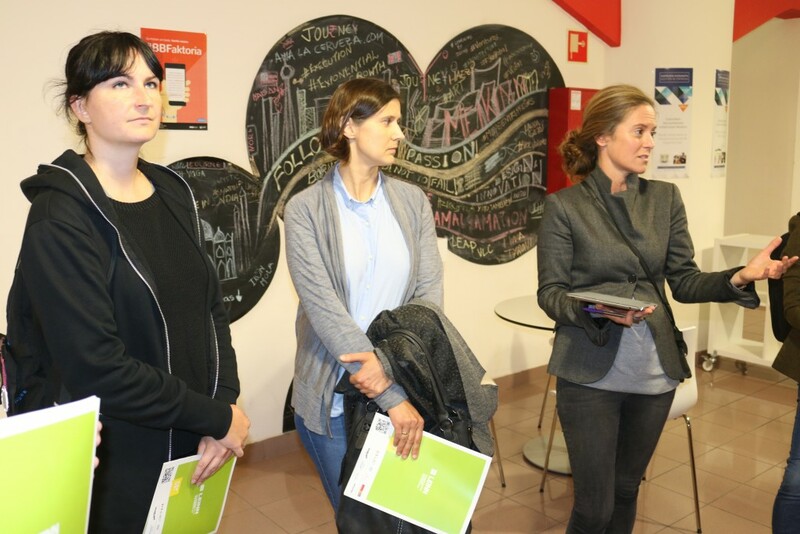 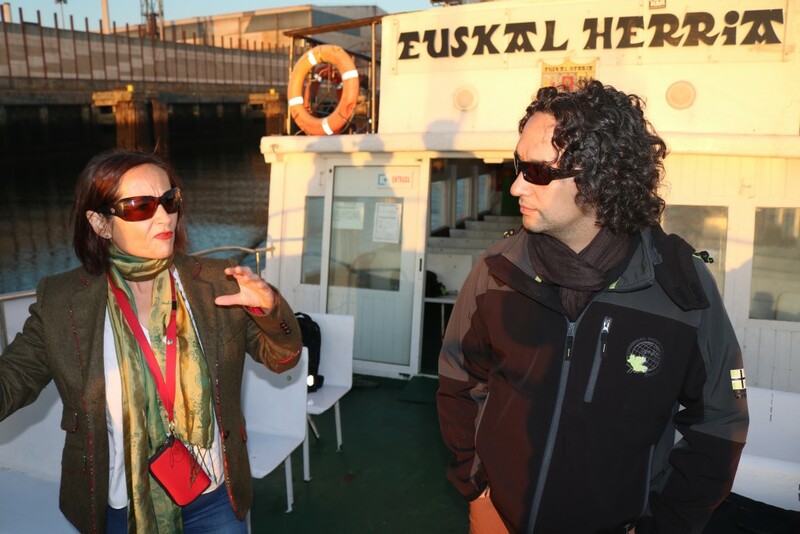 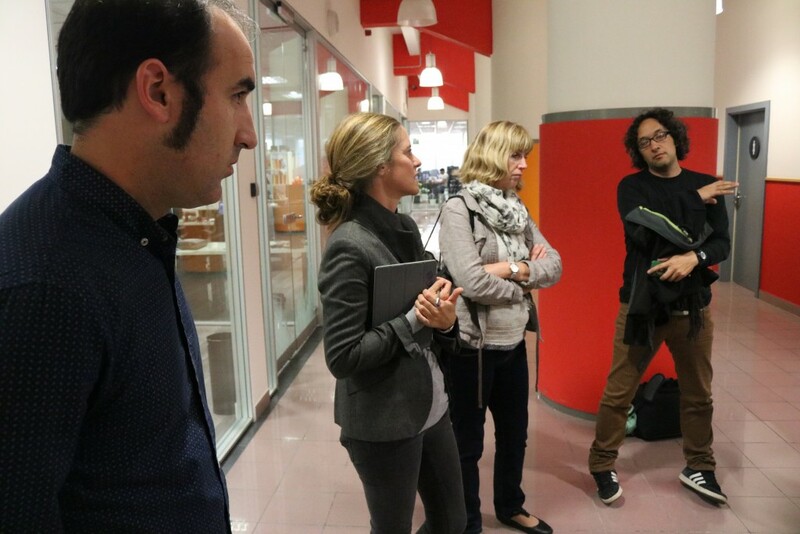 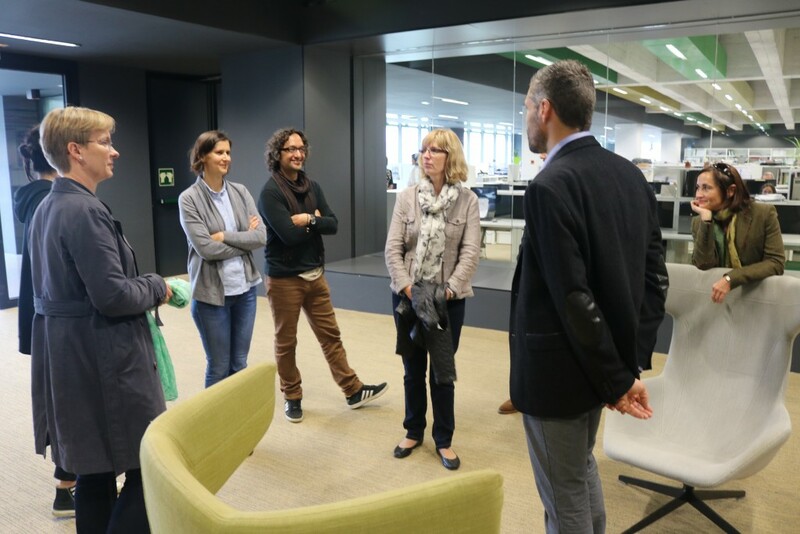 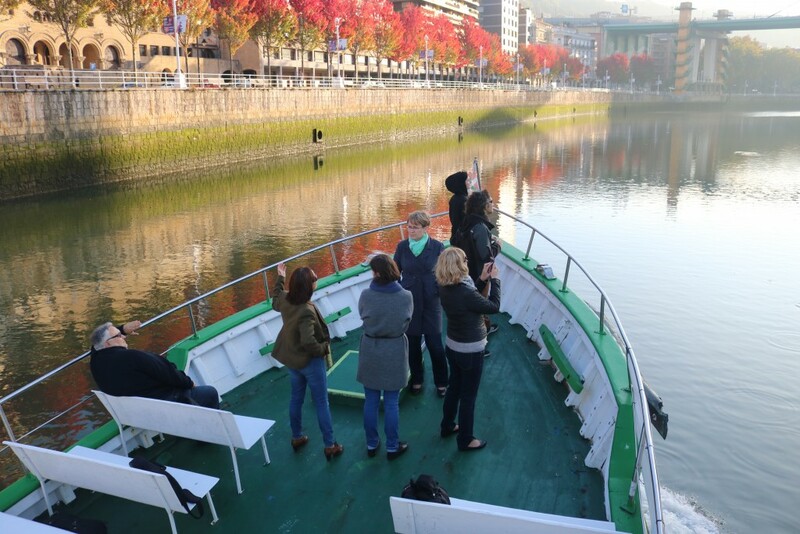 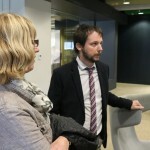 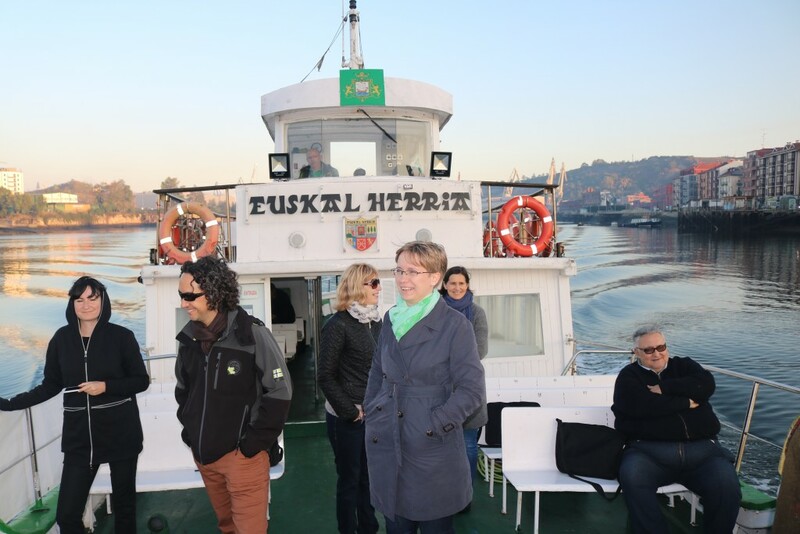 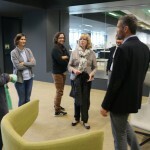 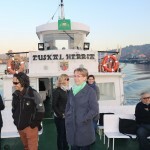 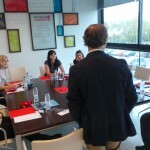 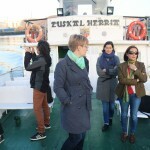 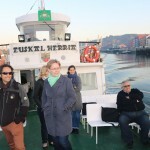 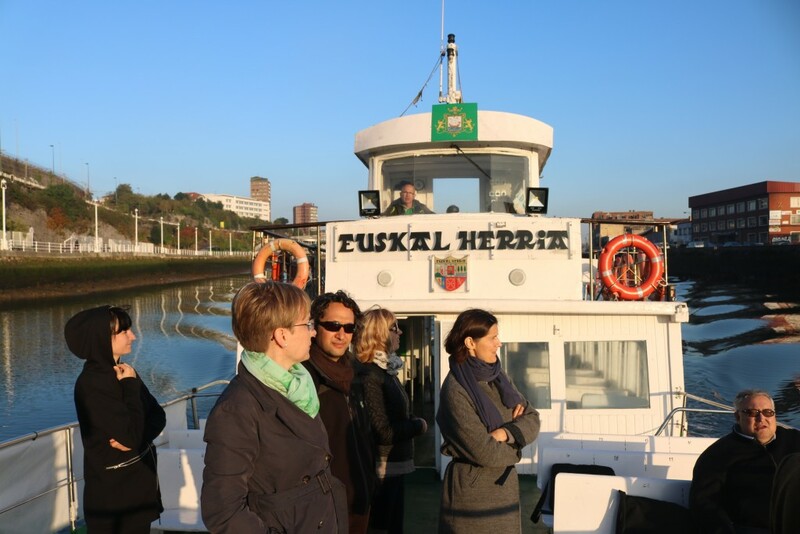 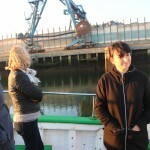 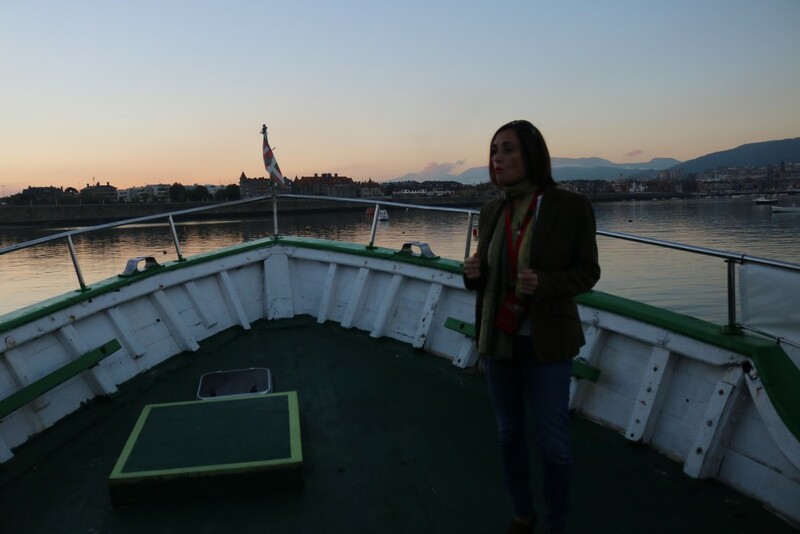 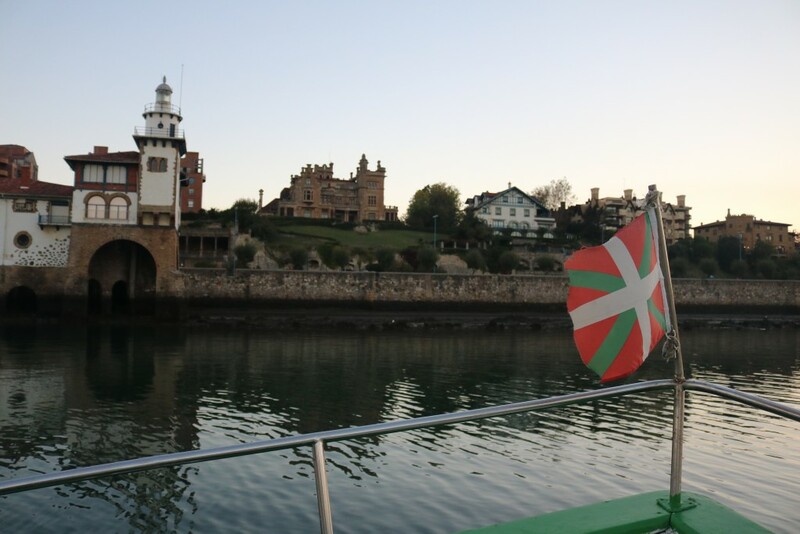 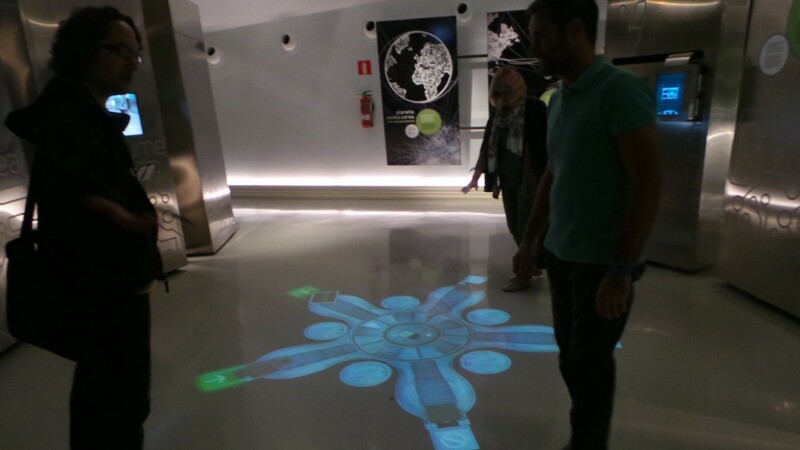 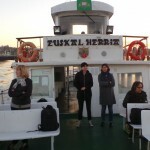 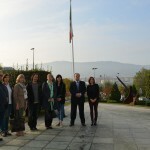 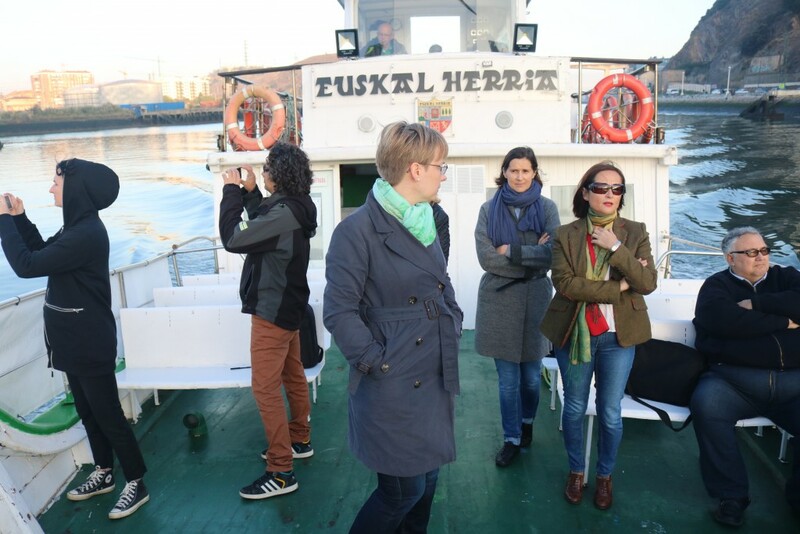 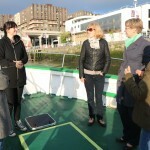 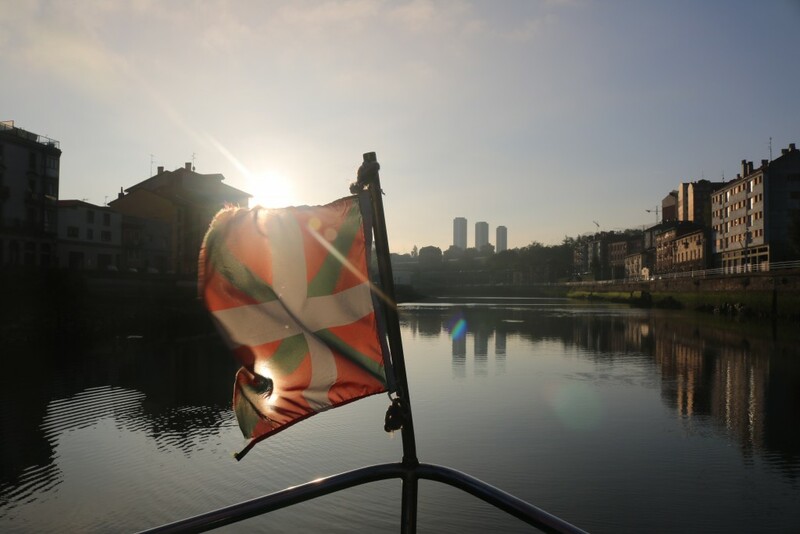 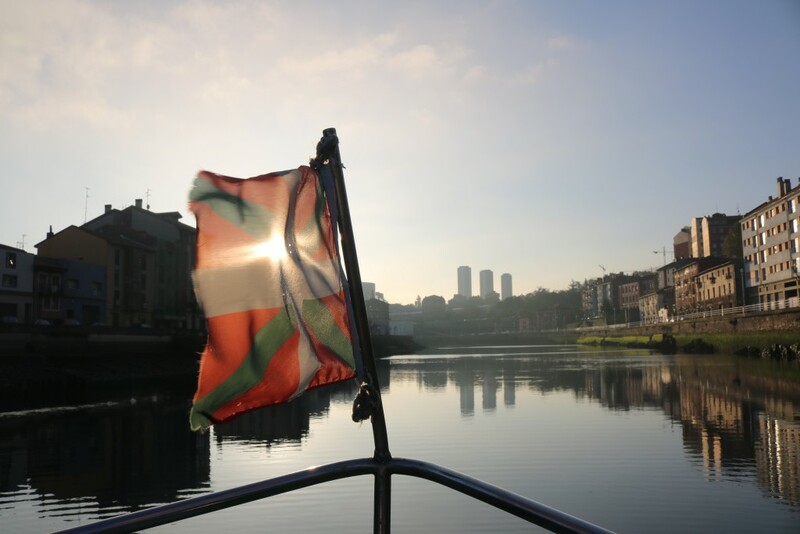 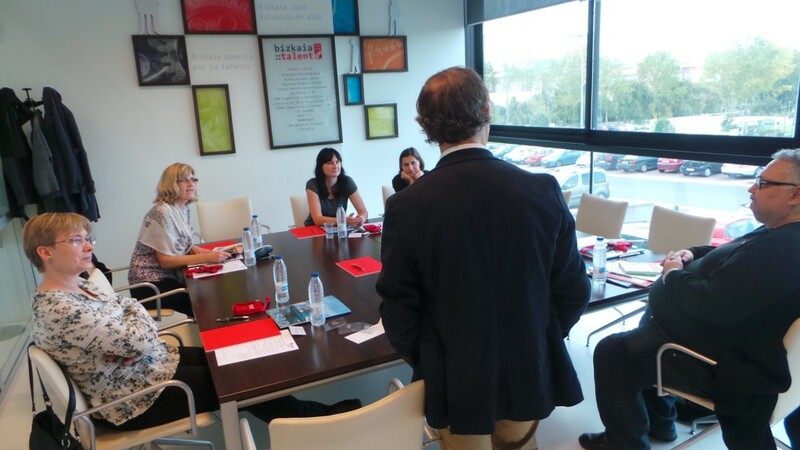 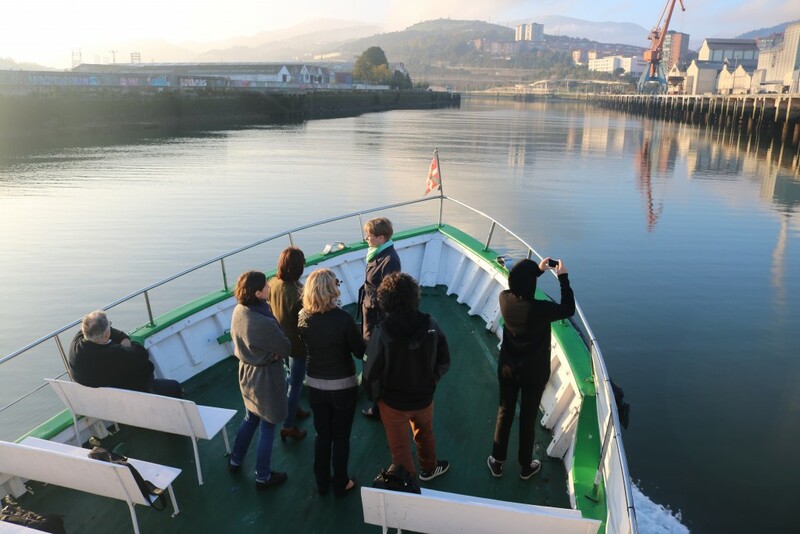 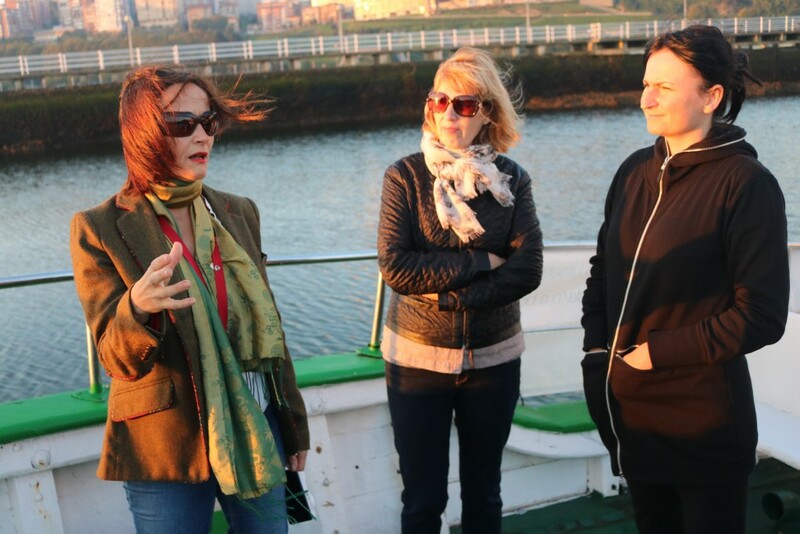 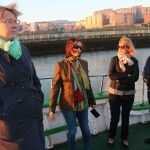 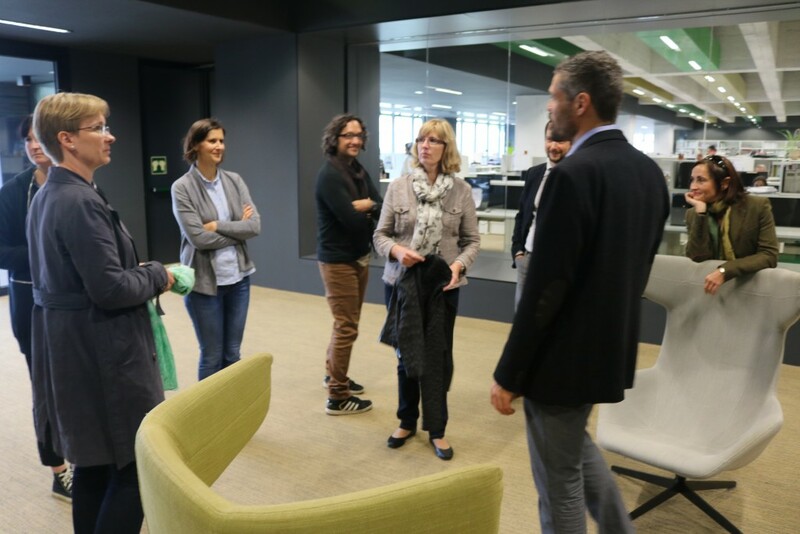 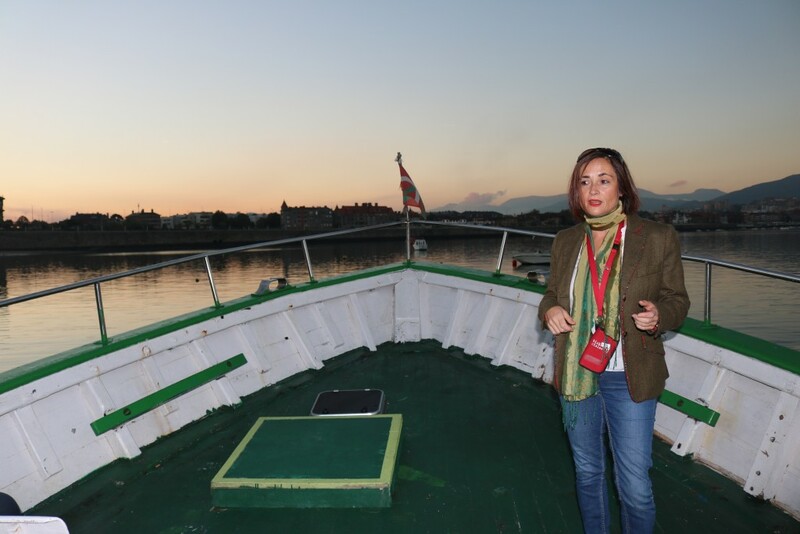 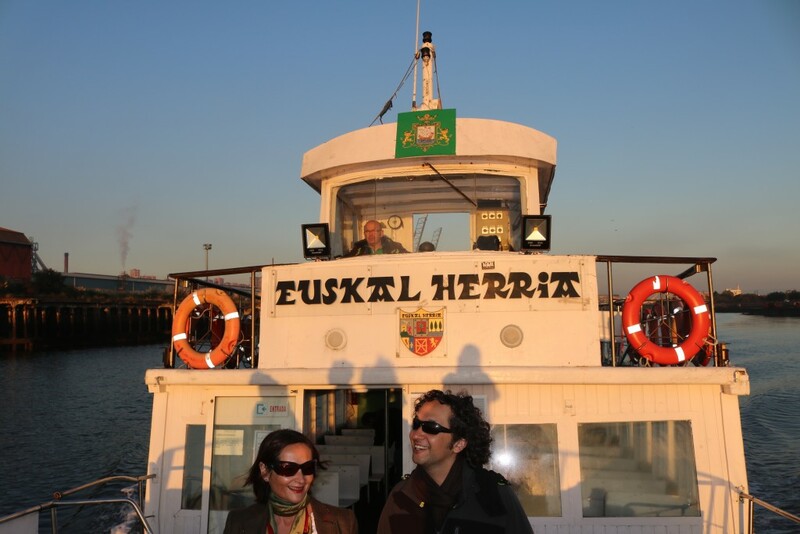 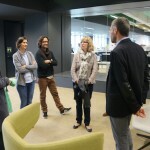 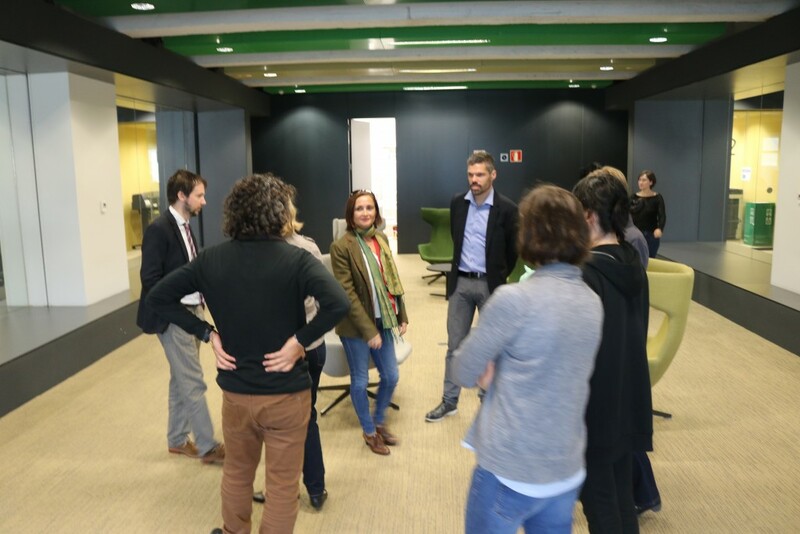 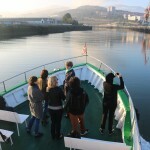 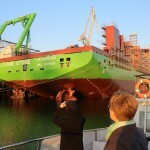 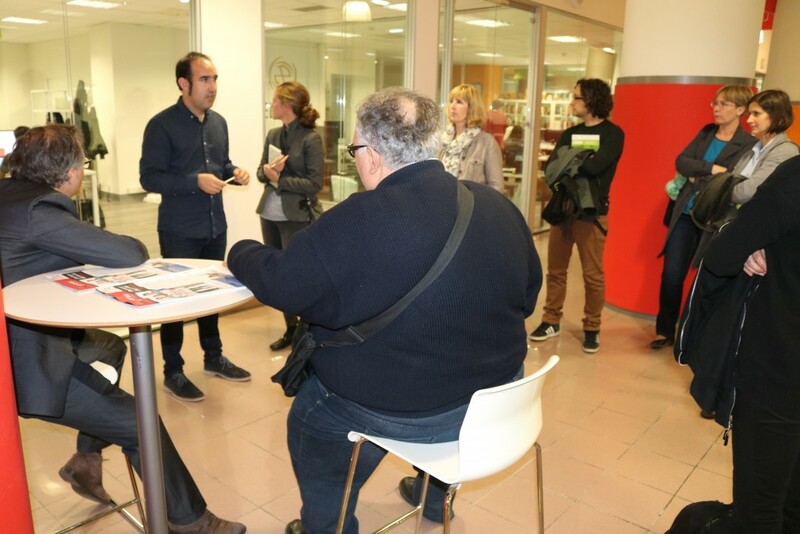 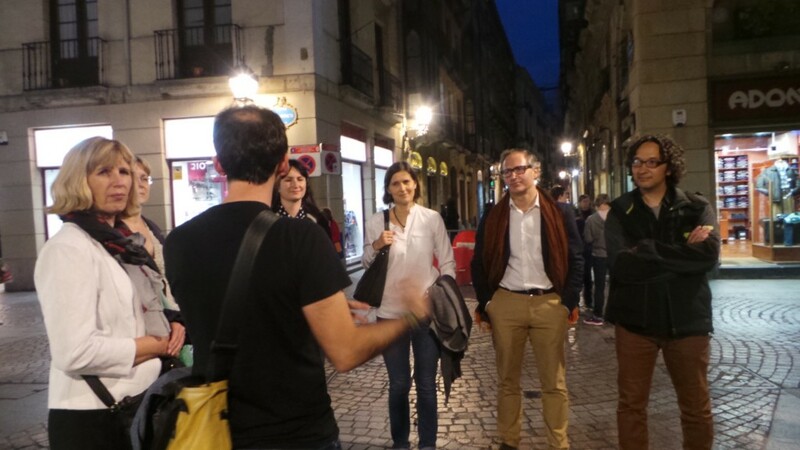 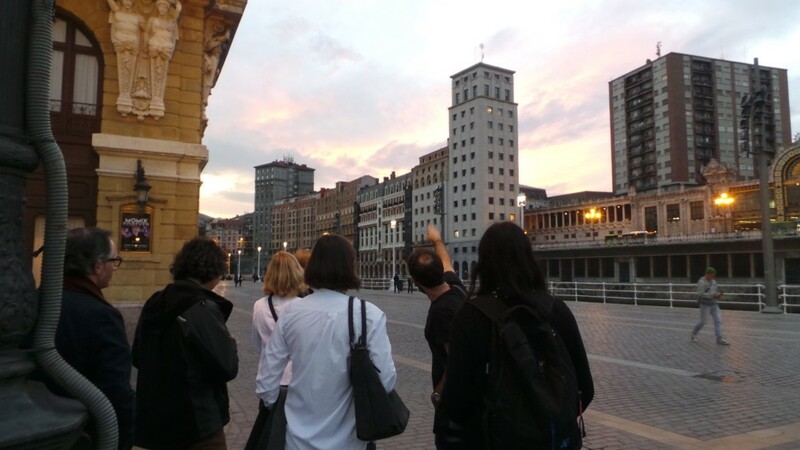 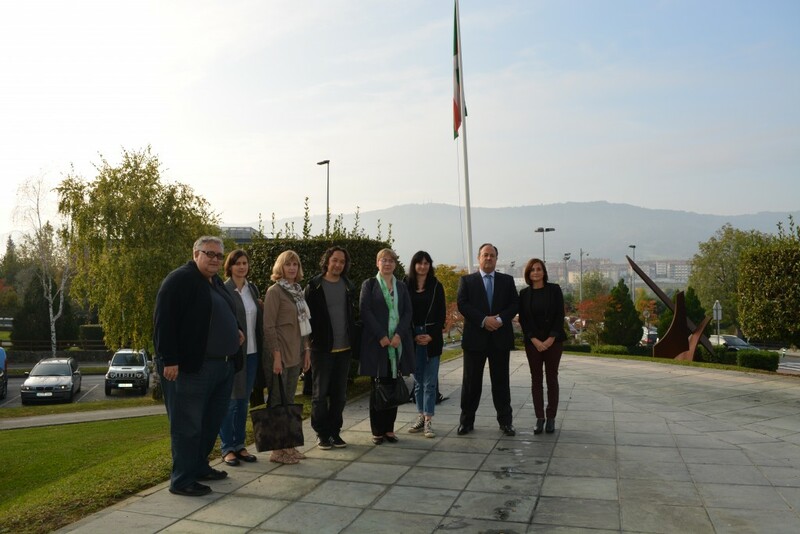 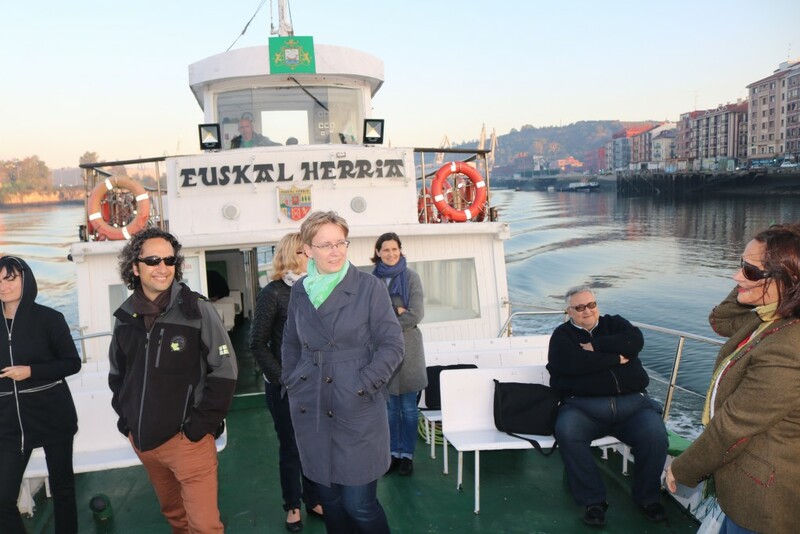 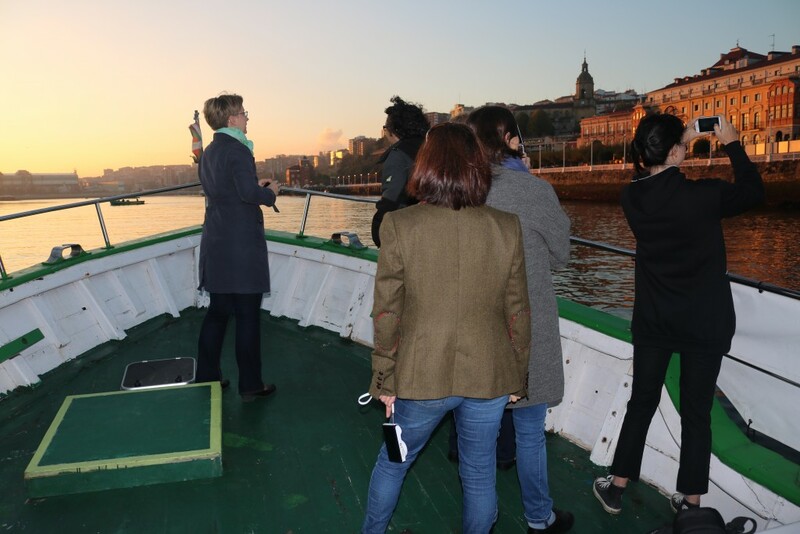 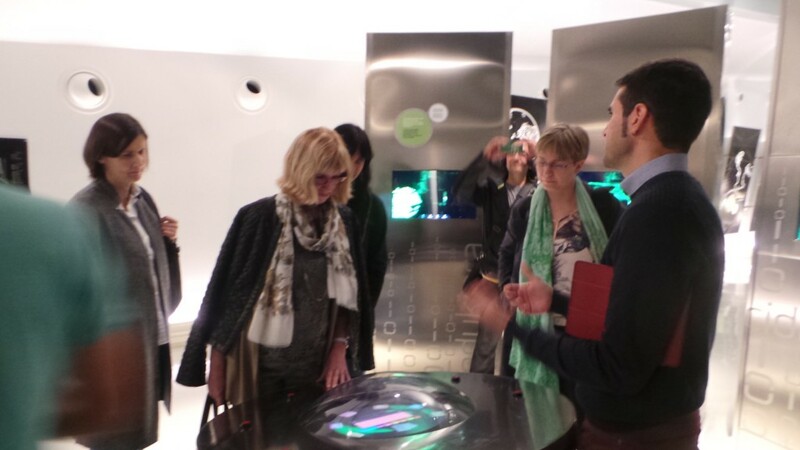 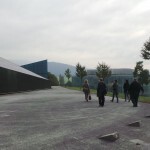 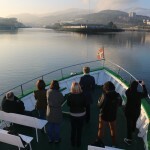 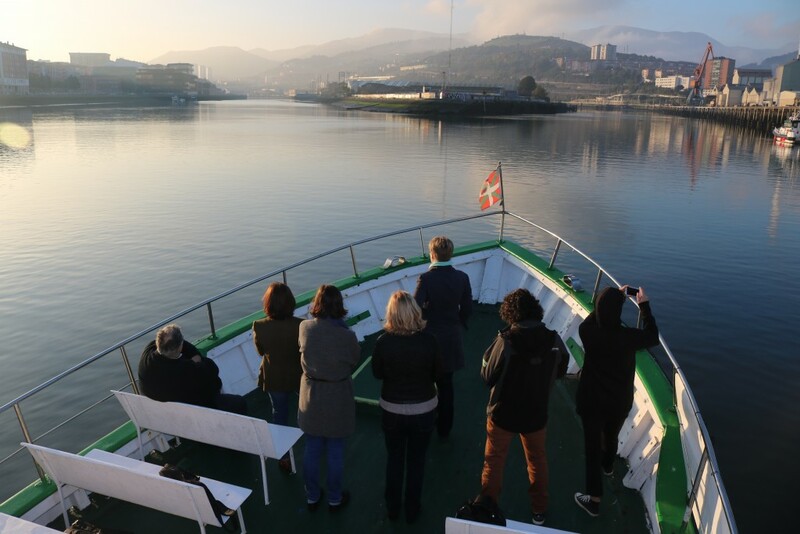 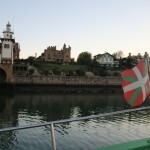 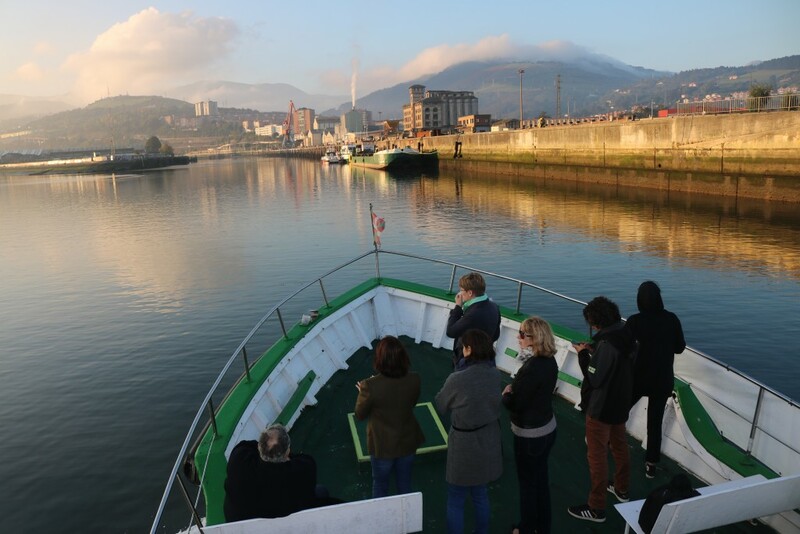 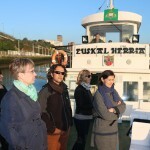 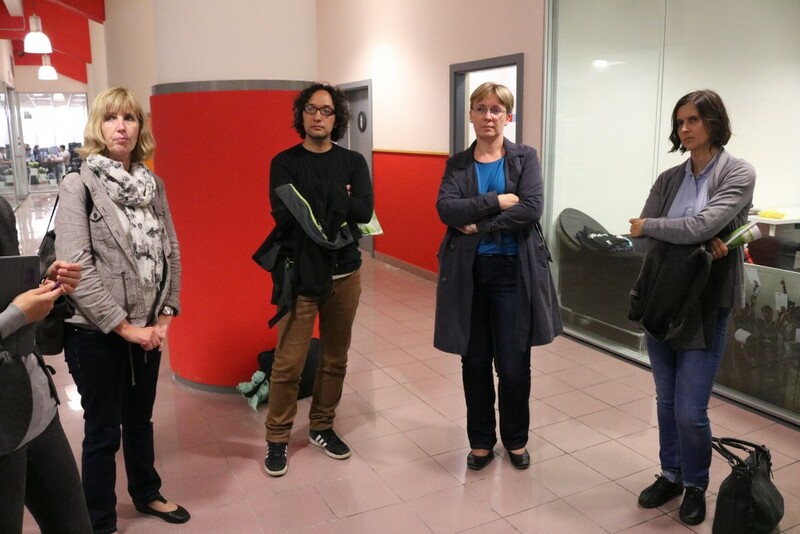 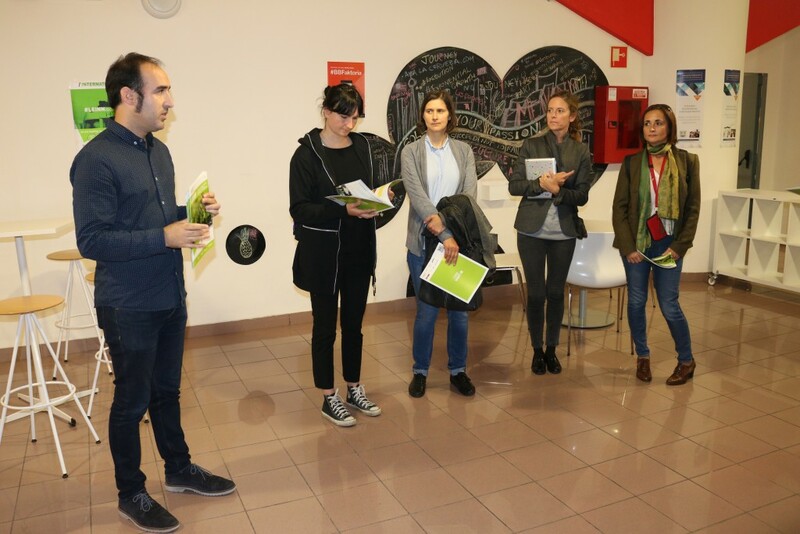 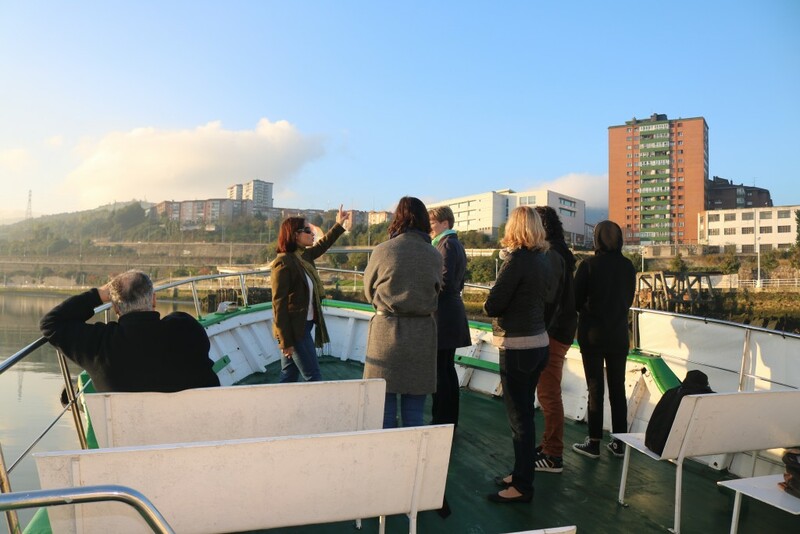 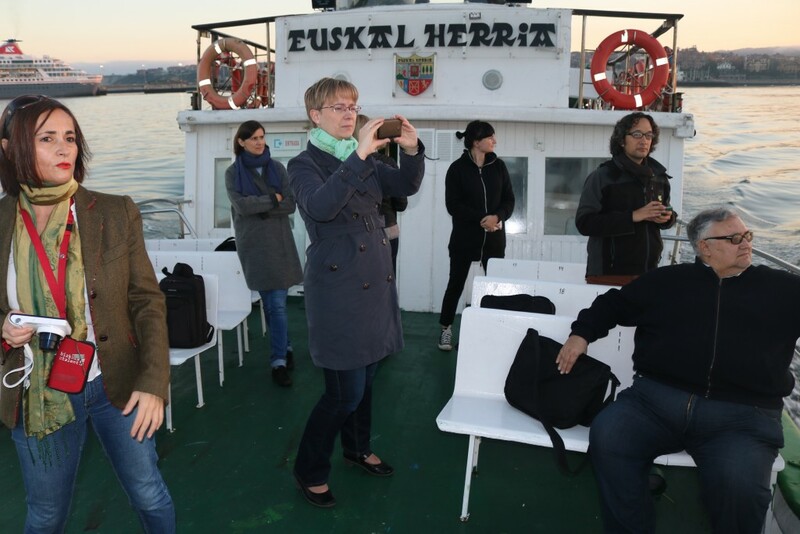 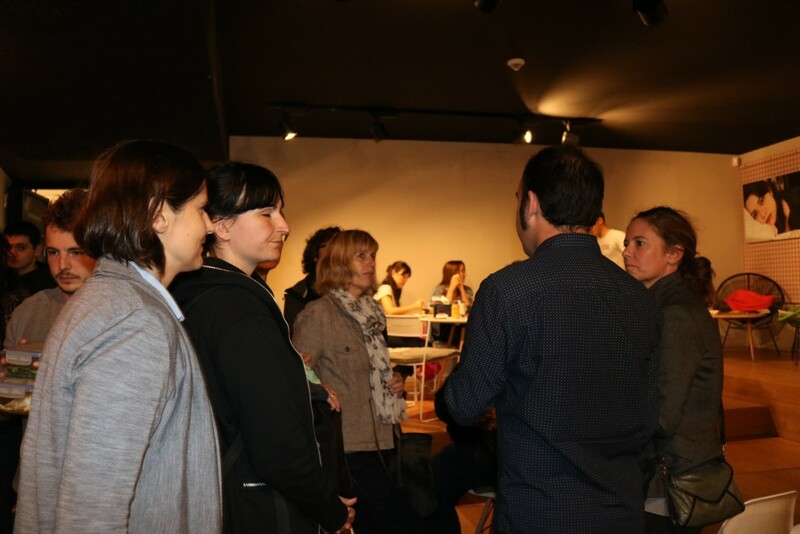 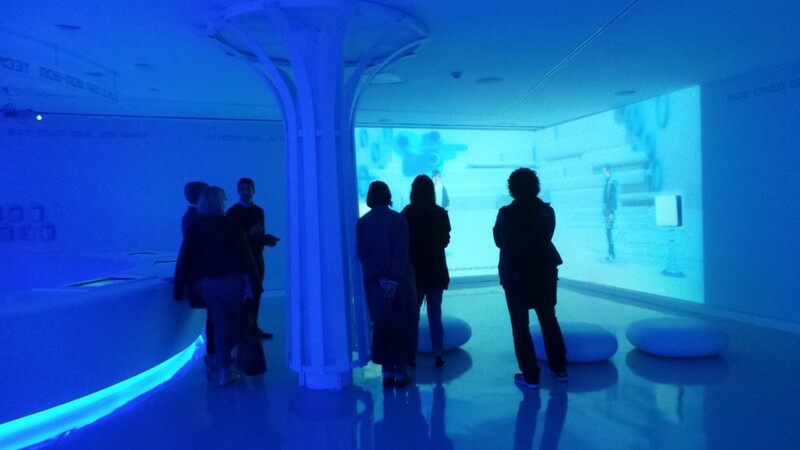 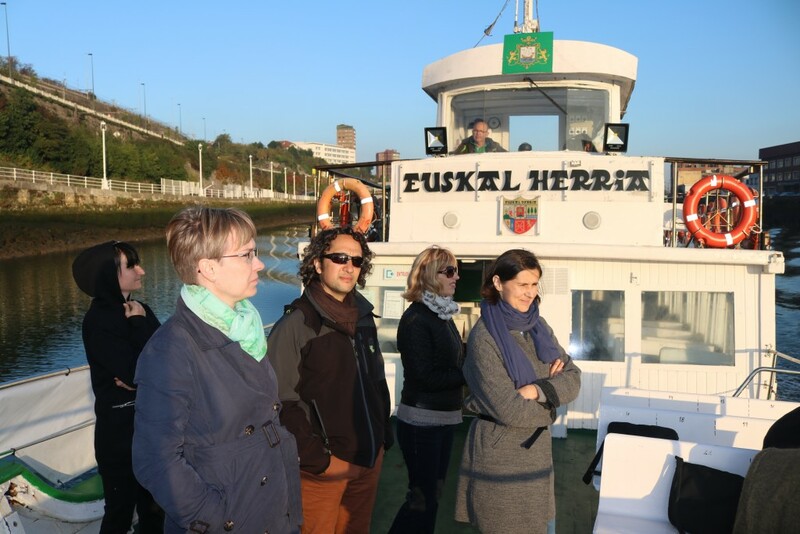 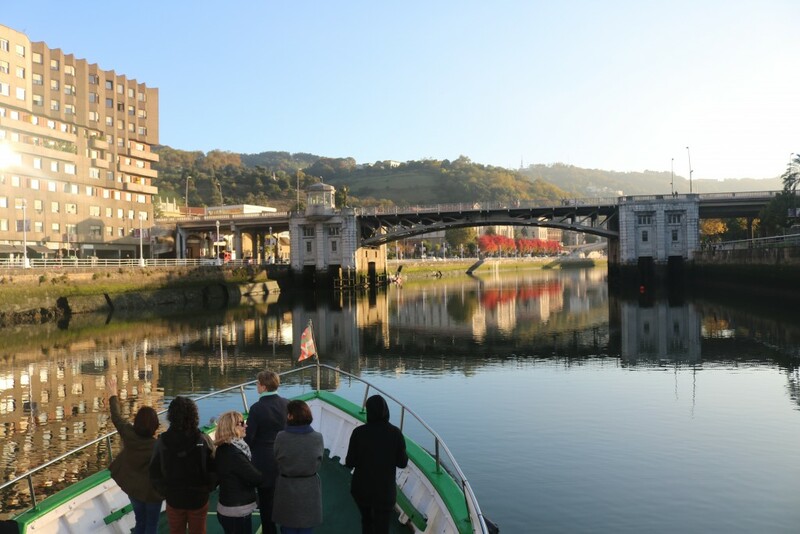 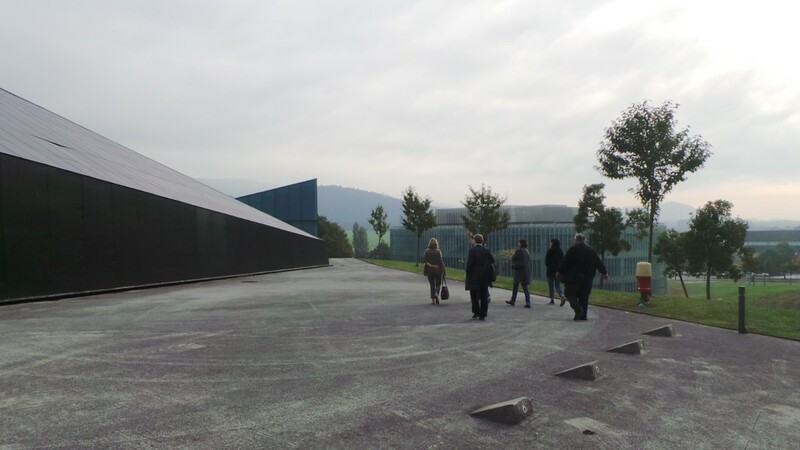 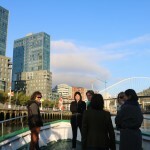 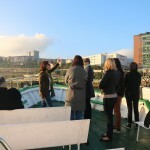 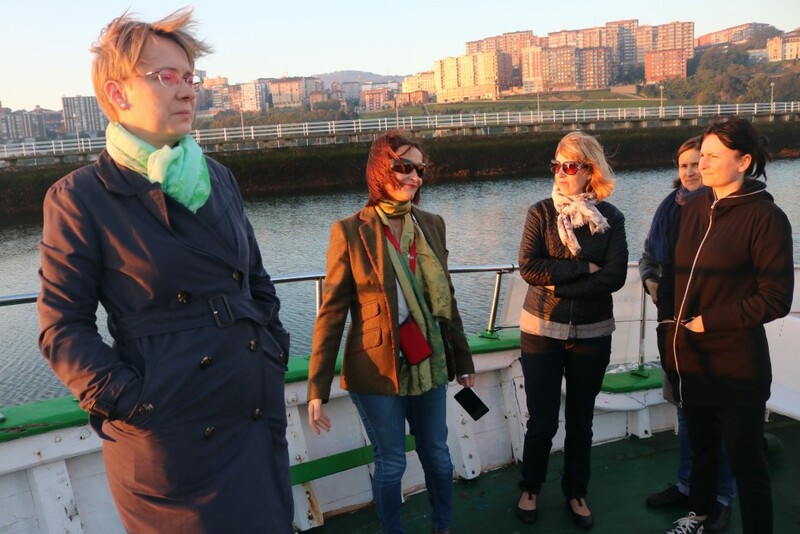 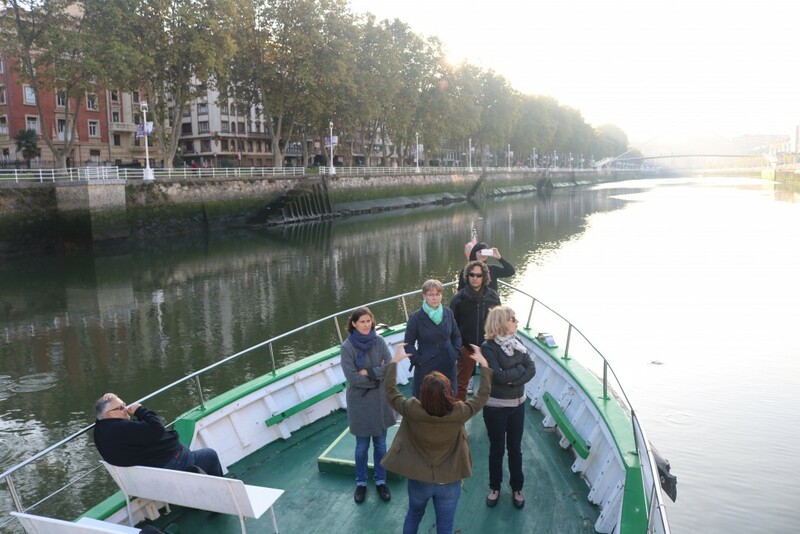 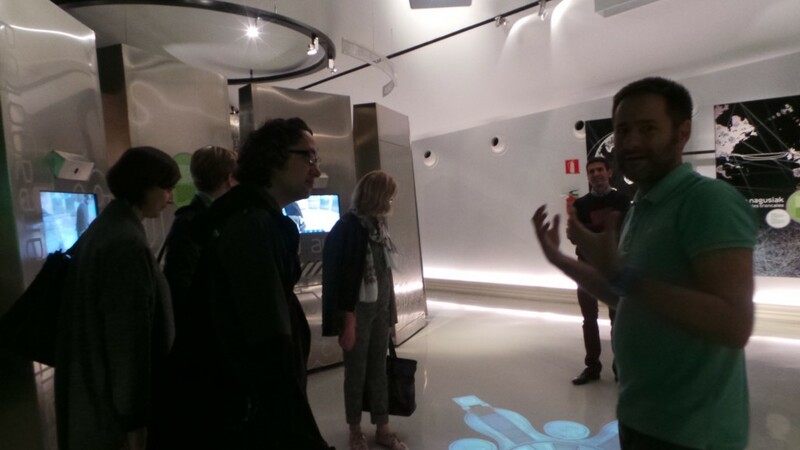 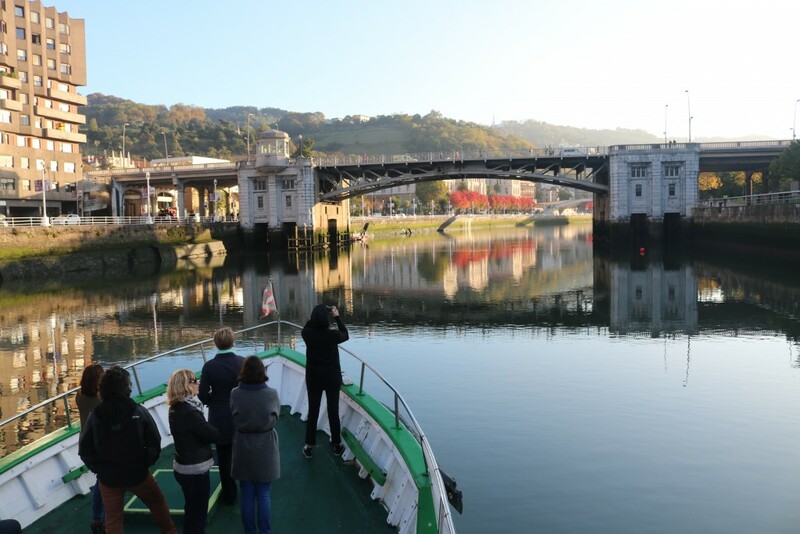 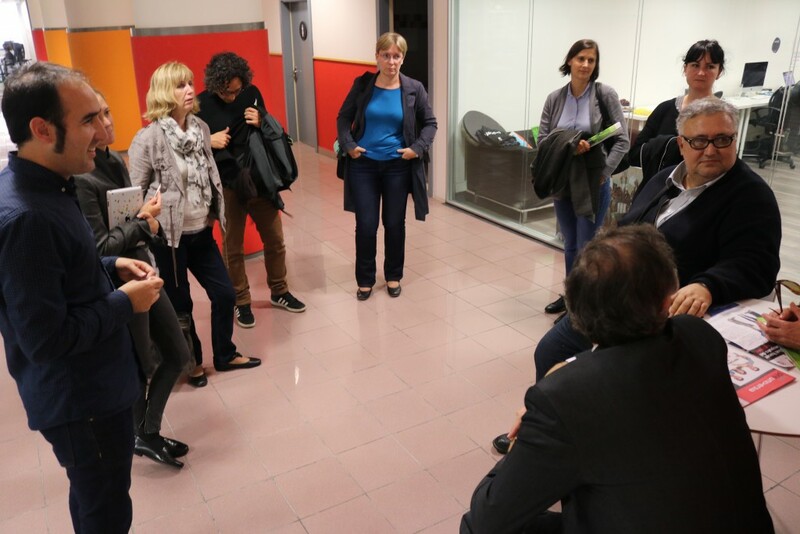 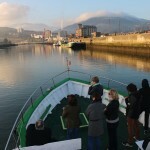 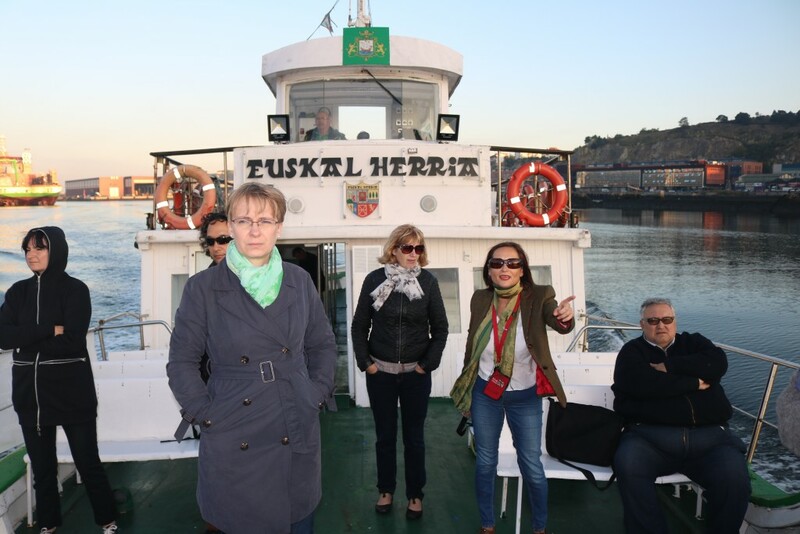 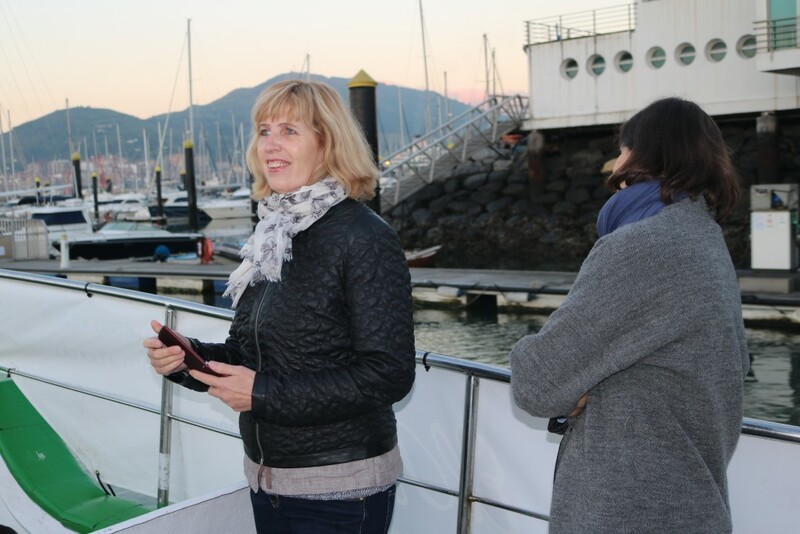 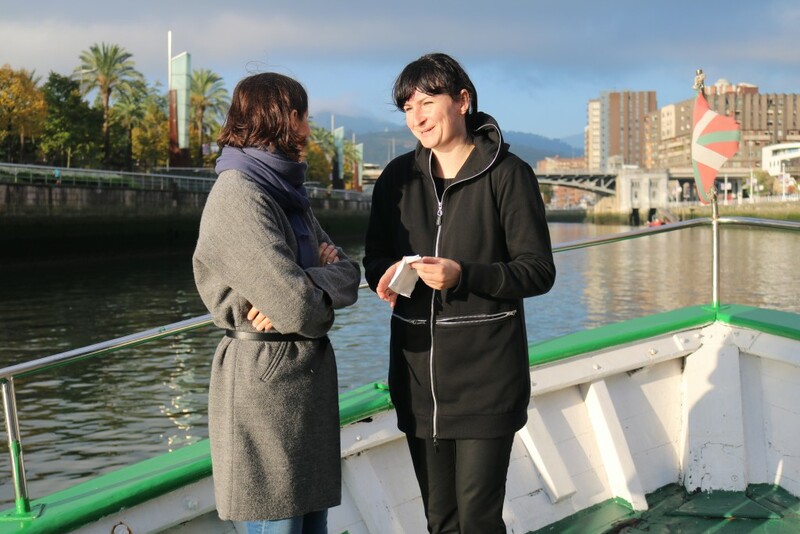 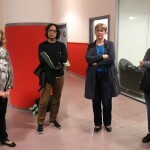 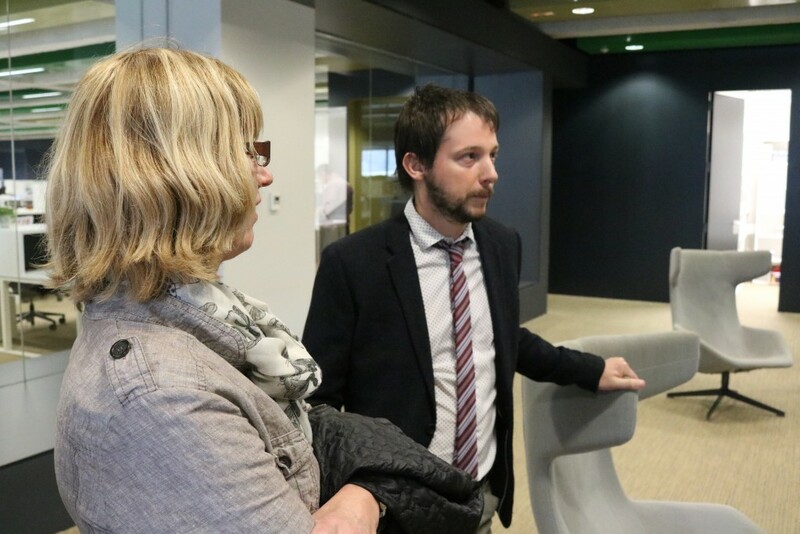 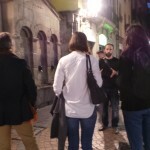 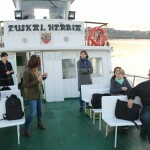 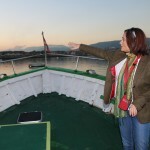 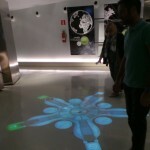 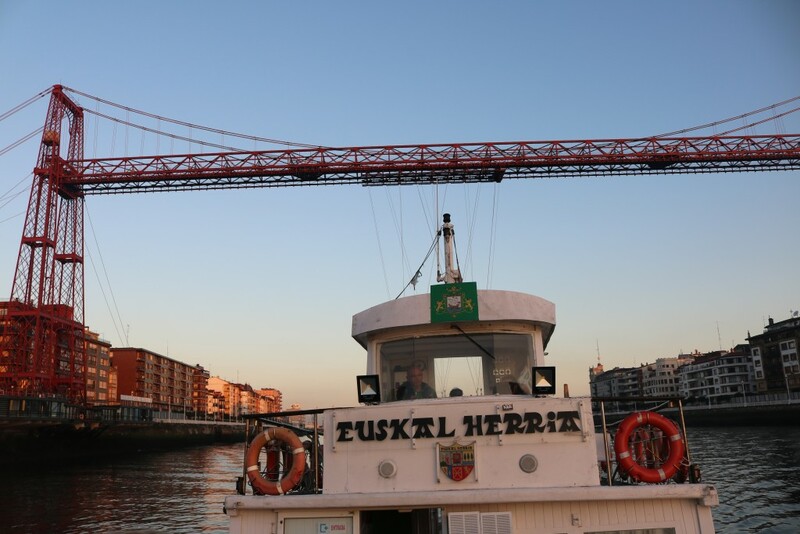 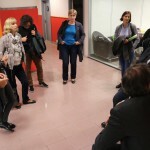 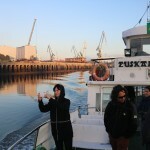 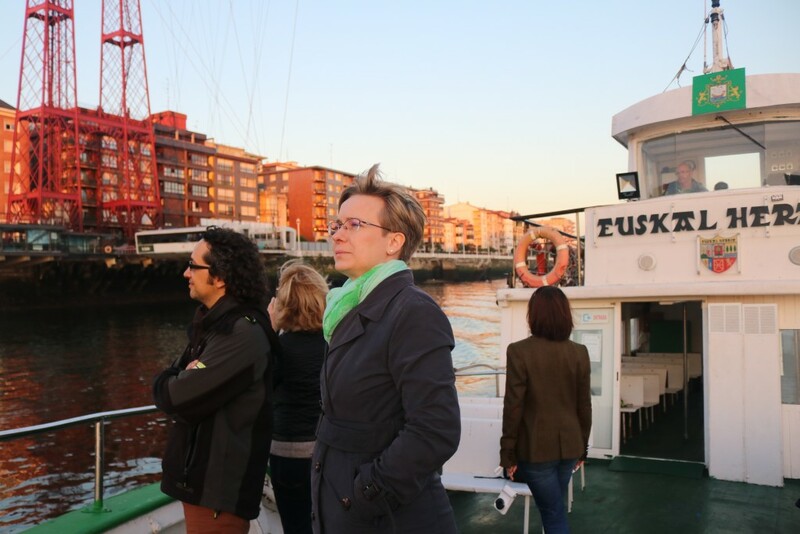 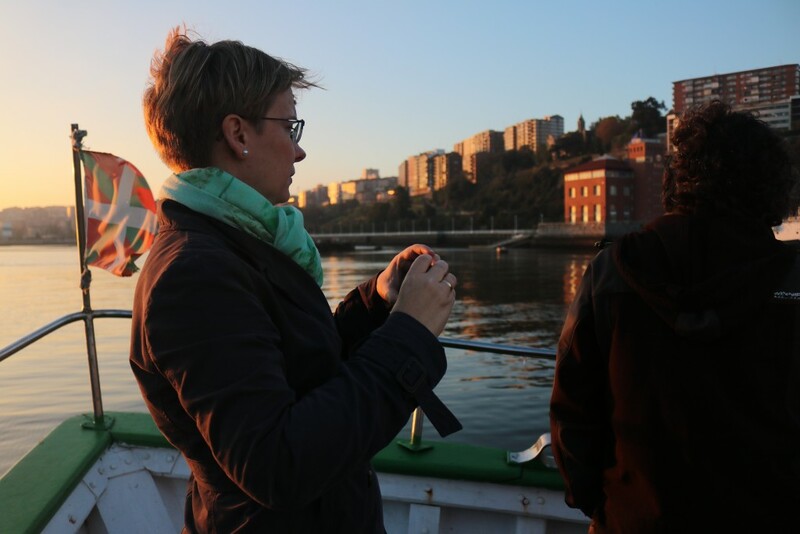 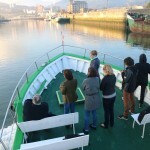 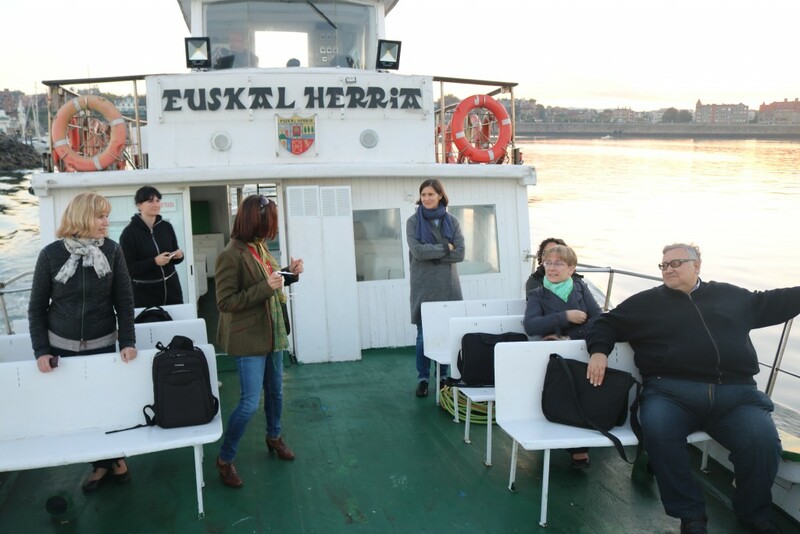 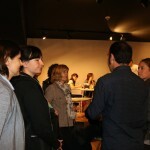 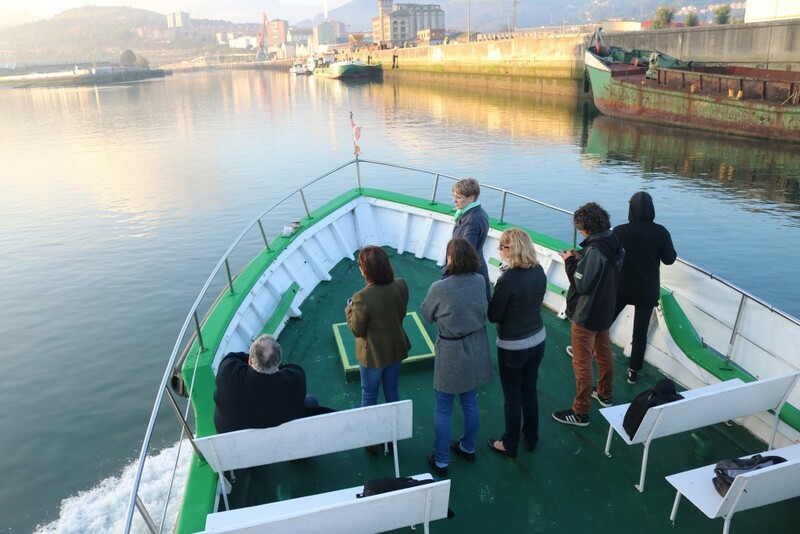 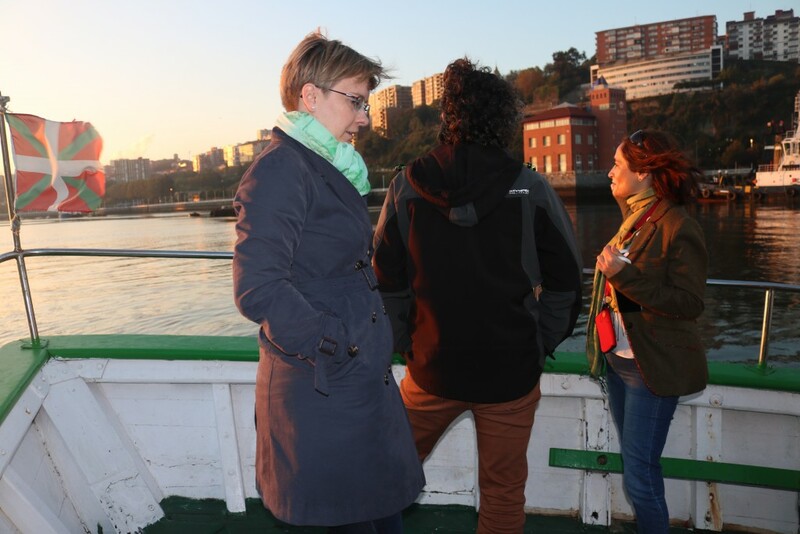 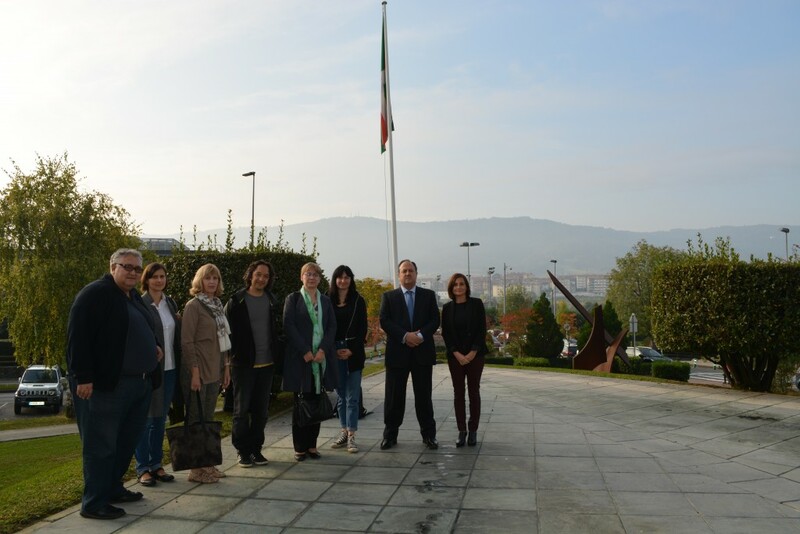 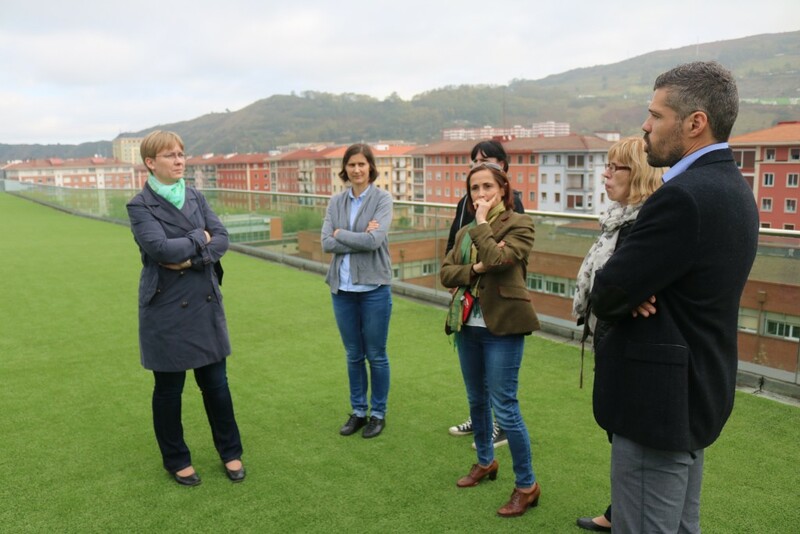 During the STUDY VISIT to bizkaia talent and the historical territory, the representatives of the EURAXESS NETWORK will visit different Basque organizations working within the Basque science and technology network and in general organizations which employ researchers in the academic field and specially in industry and services, one of the strengths of the Basque Country as a reference at the European level. 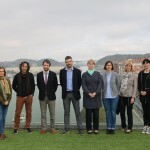 TOP III PROJECT The Euraxess TOP III project and its development within the Spanish state will be presented during the STUDY VISIT. 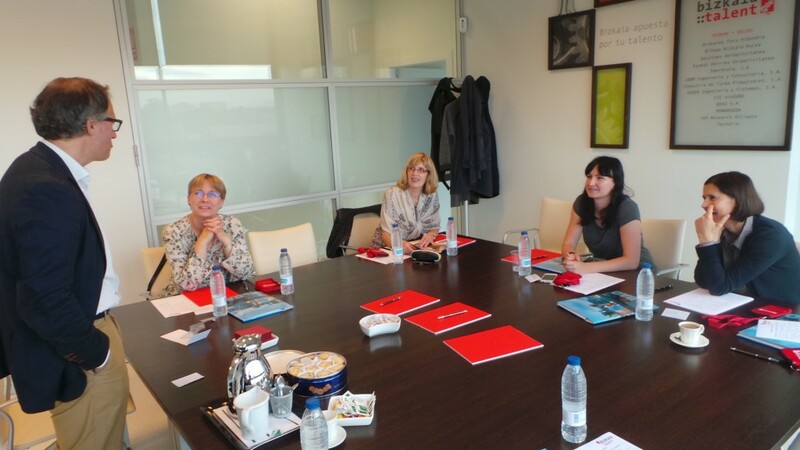 With a length of three years as from 1 September 2015, it aims at preparing and offering new services based on the results of the former EURAXESS projects and ensuring the continuity and take-up of the services and products provided therein by the whole Network. 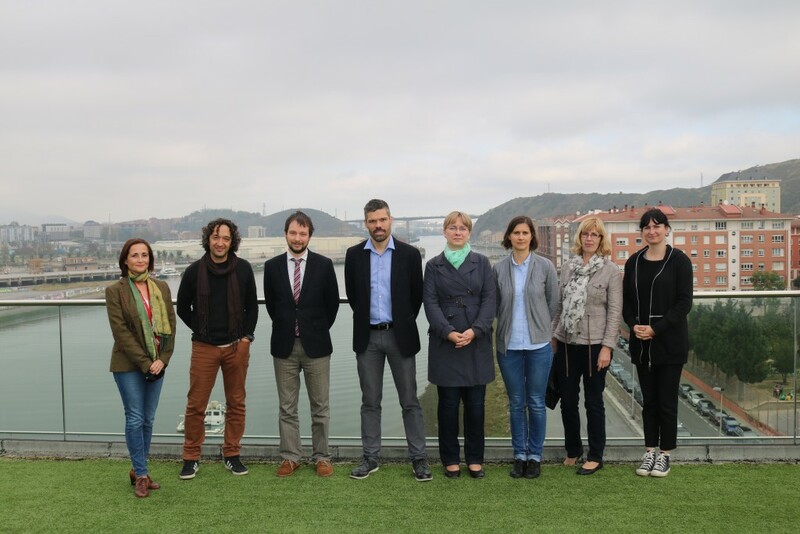 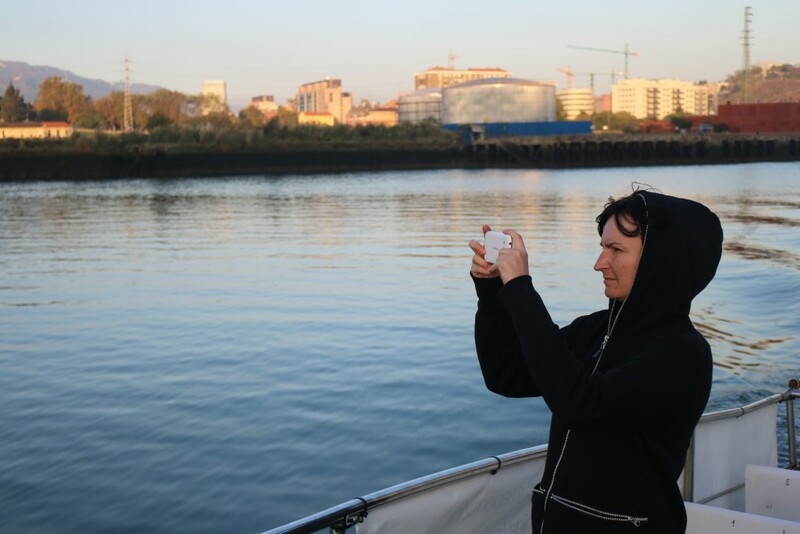 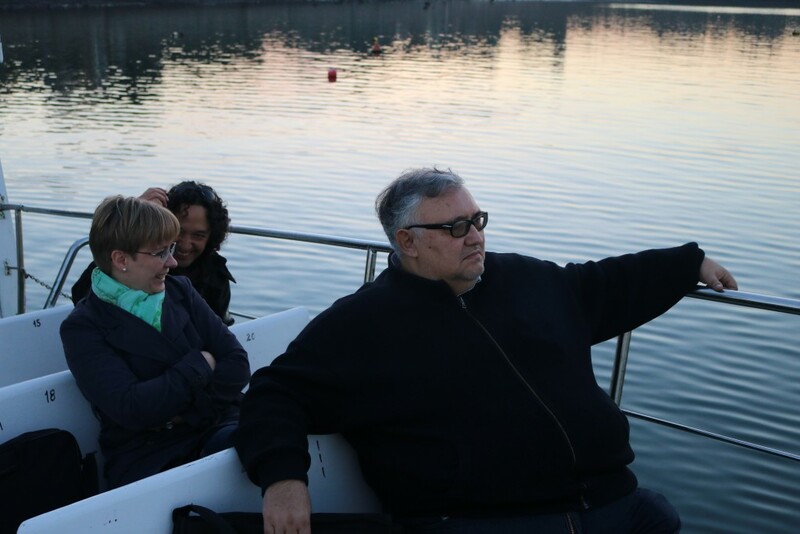 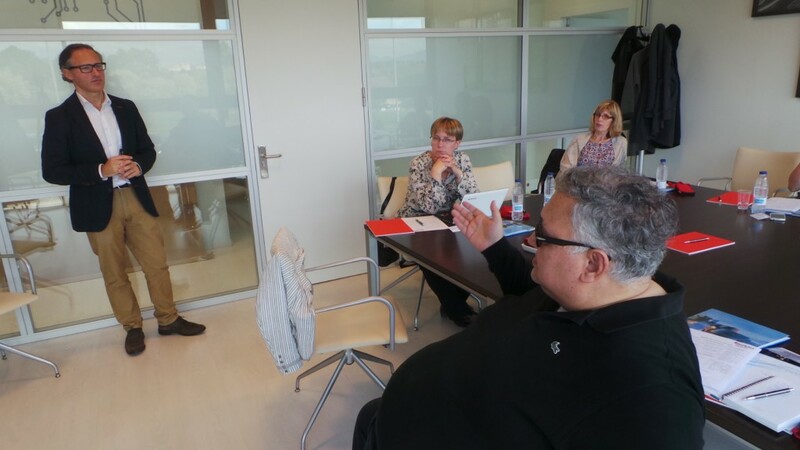 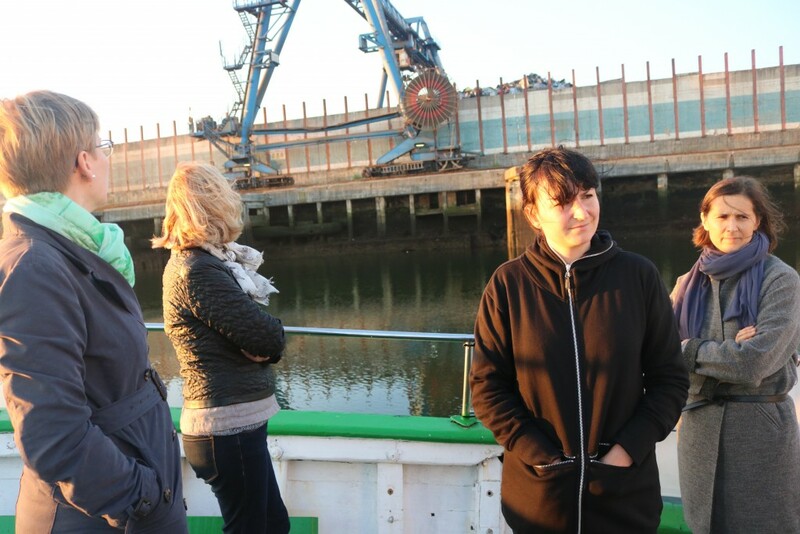 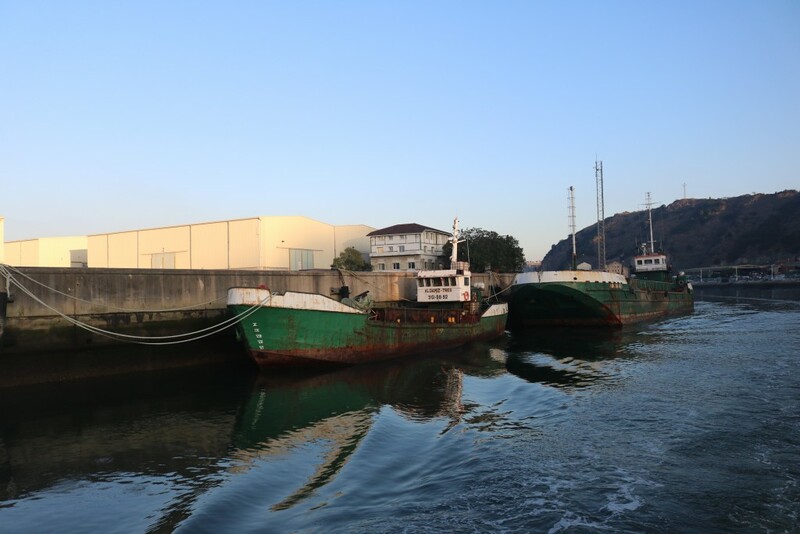 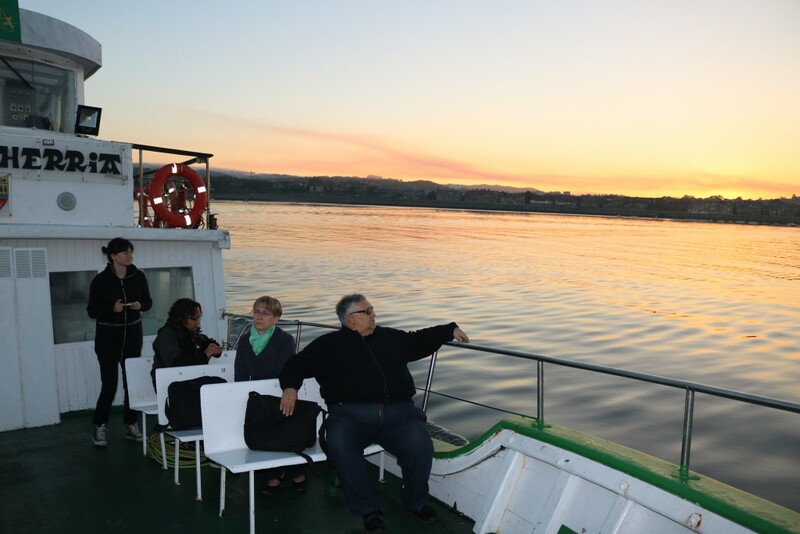 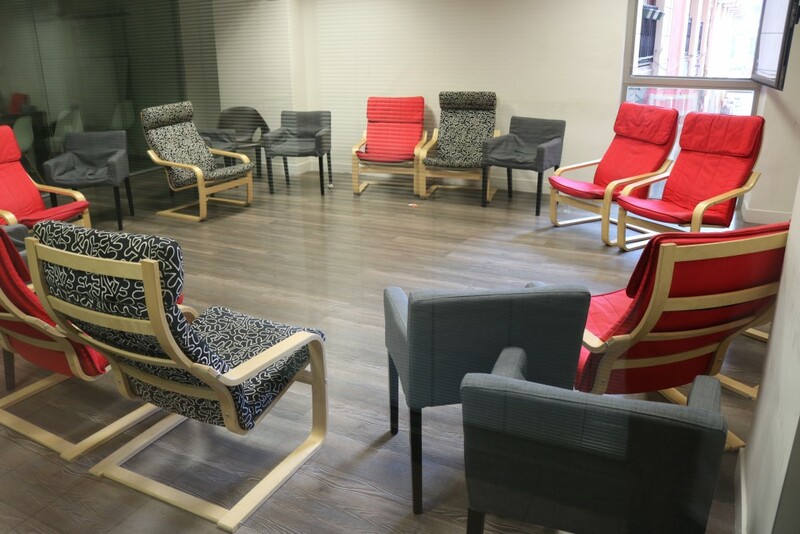 Likewise, under the coordination of Bay Zoltan Ltd. (BZN) from Hungary, it seeks to strengthen and consolidate the overall work of the members of the Network, assuring that the level of the existing services is consistent. 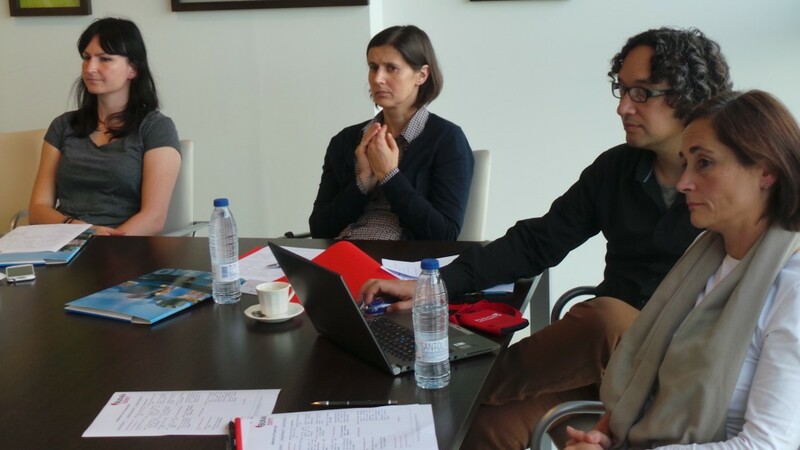 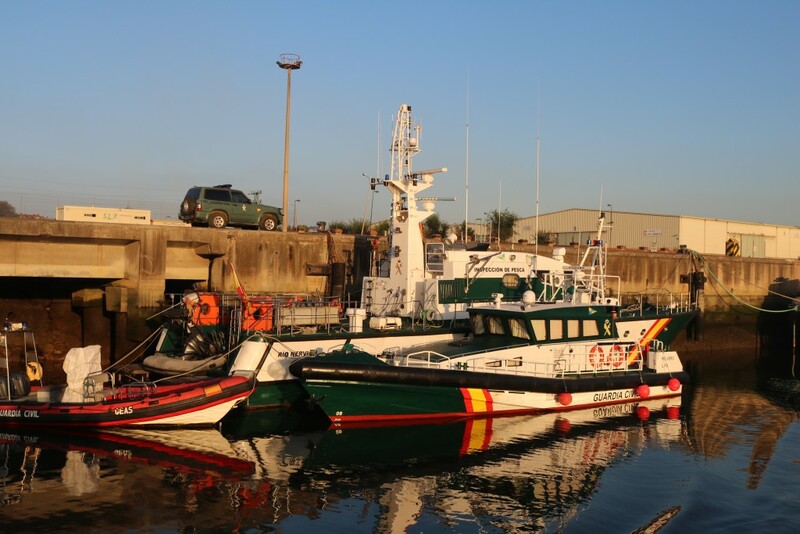 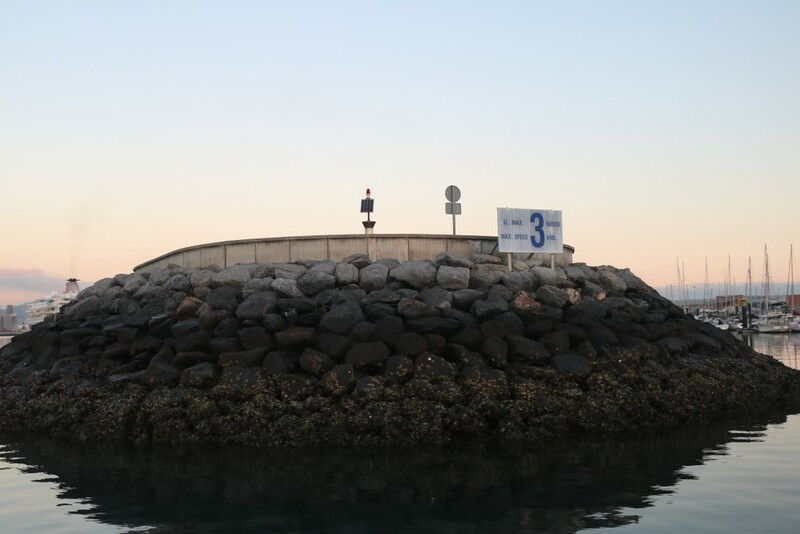 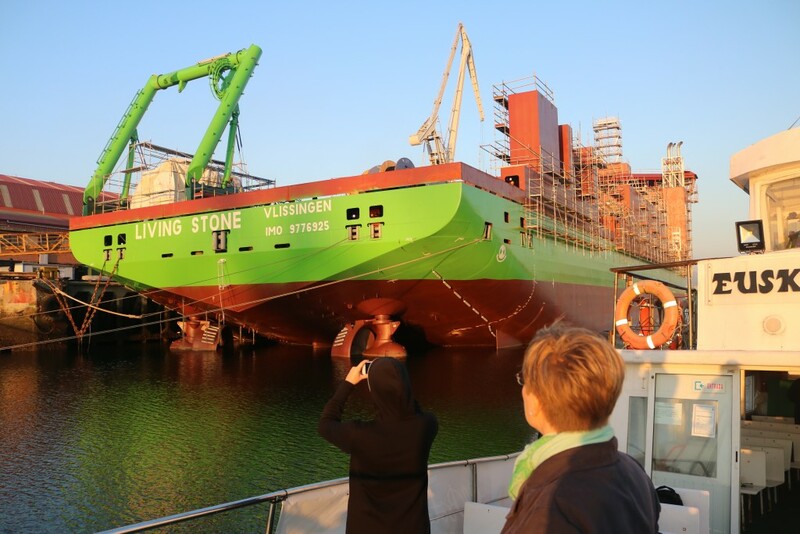 This project has a budget of 3.5 million Euros and the participation of 38 organizations of which 33 are beneficiaries and 5 are linked third parties.